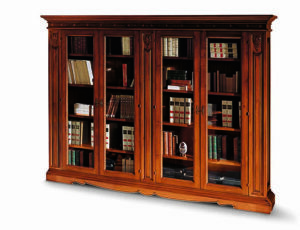 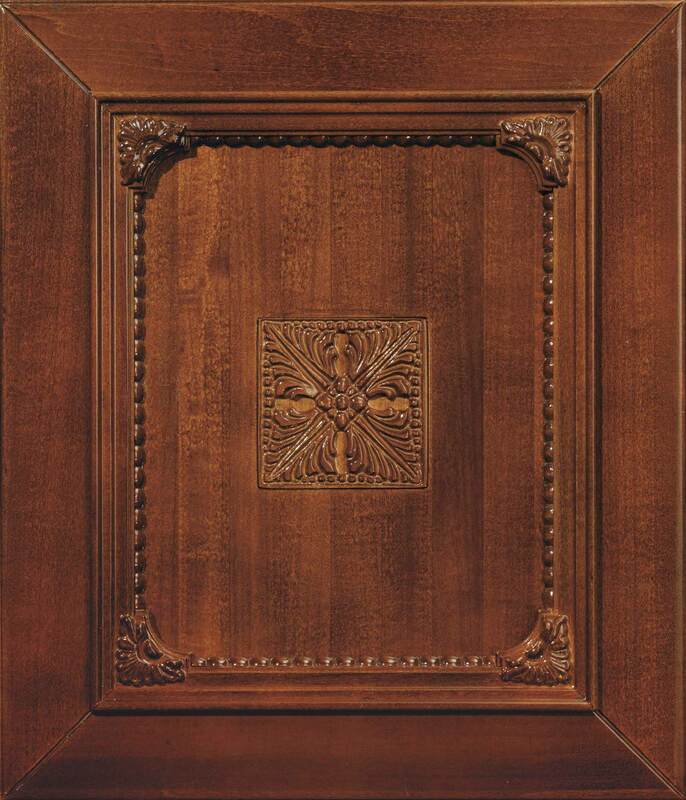 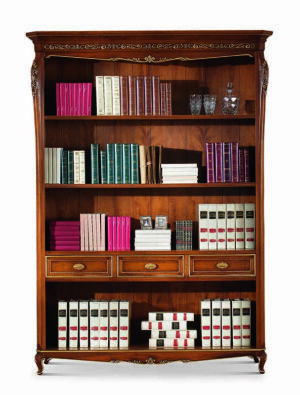 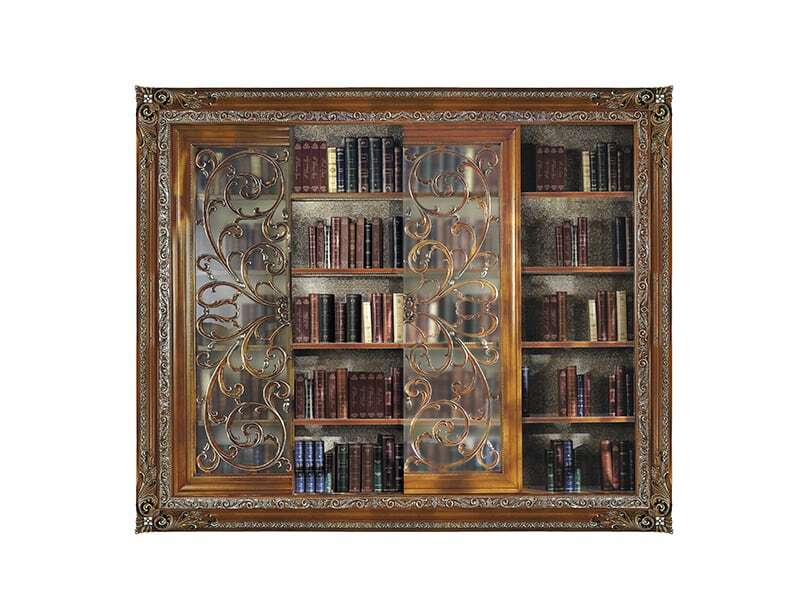 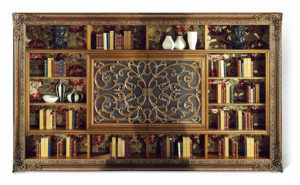 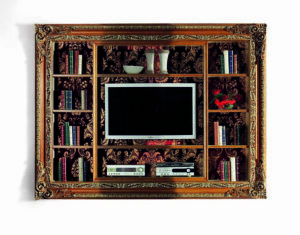 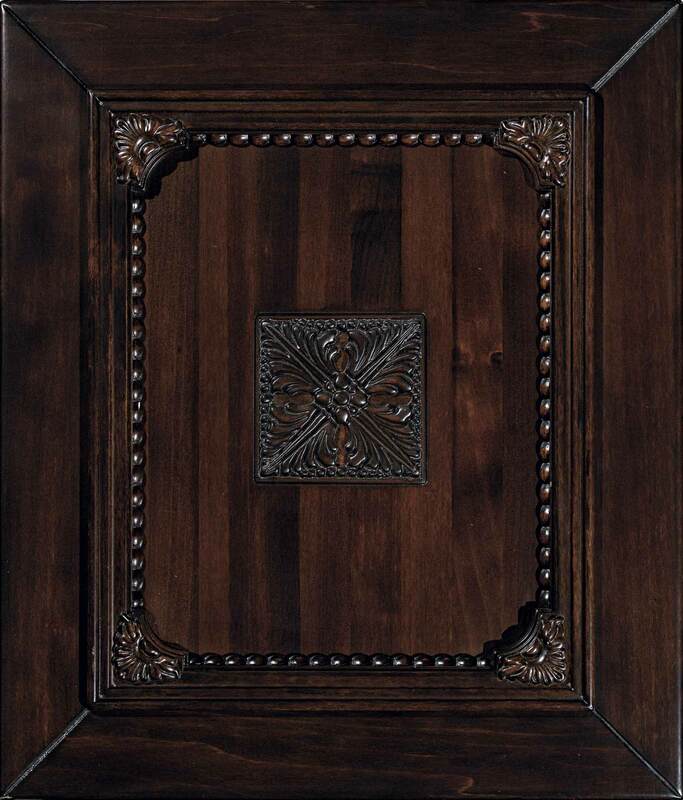 Bookcase with glass sliding doors with open-work carving, back with printed fabric unpholstery. 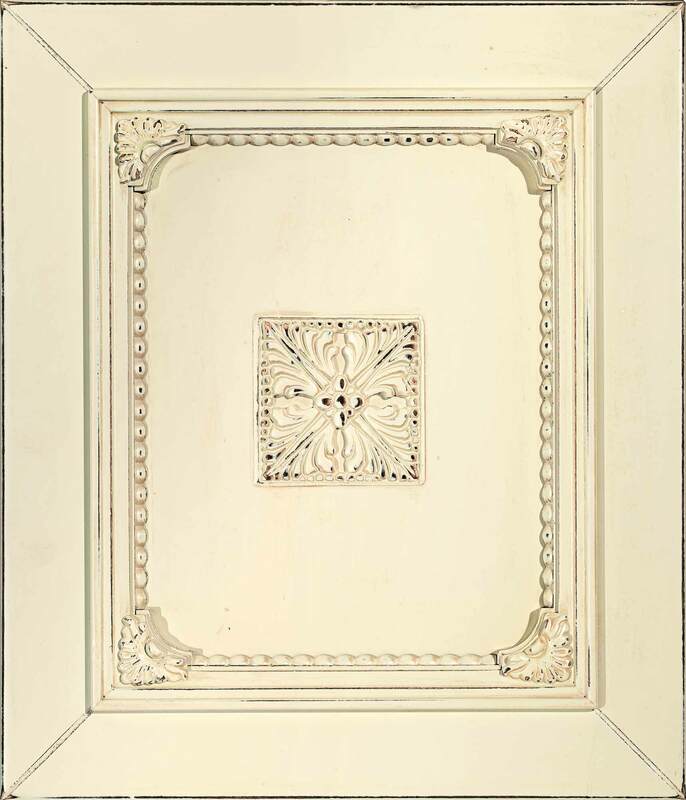 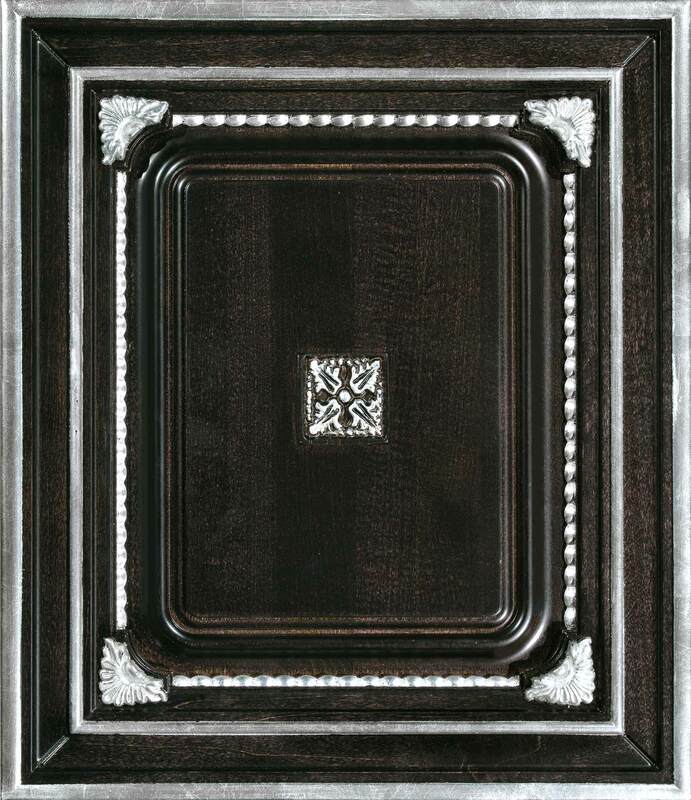 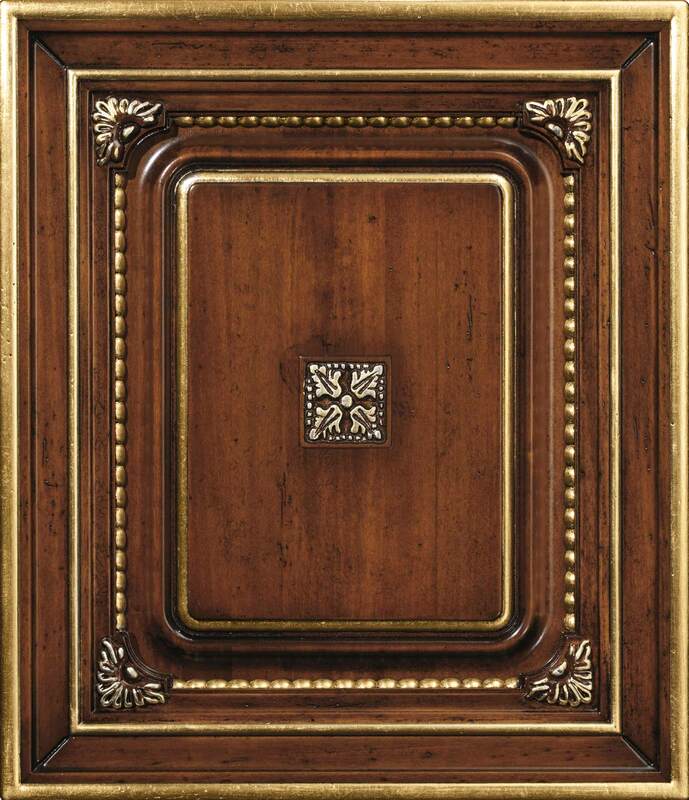 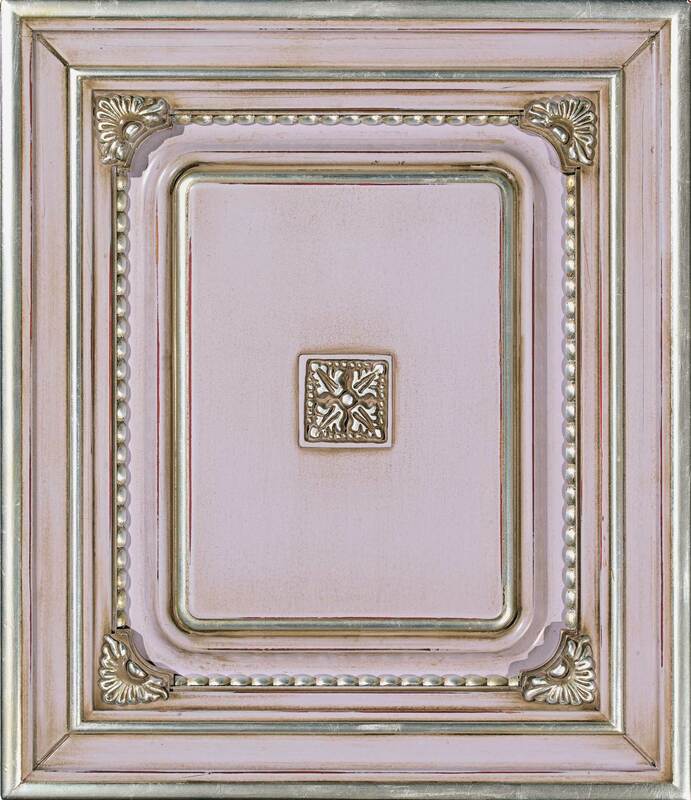 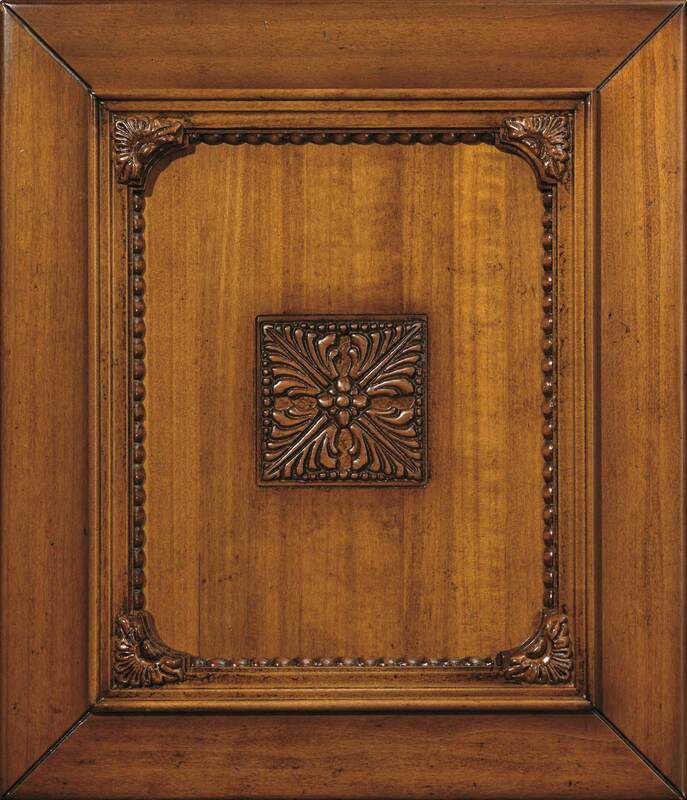 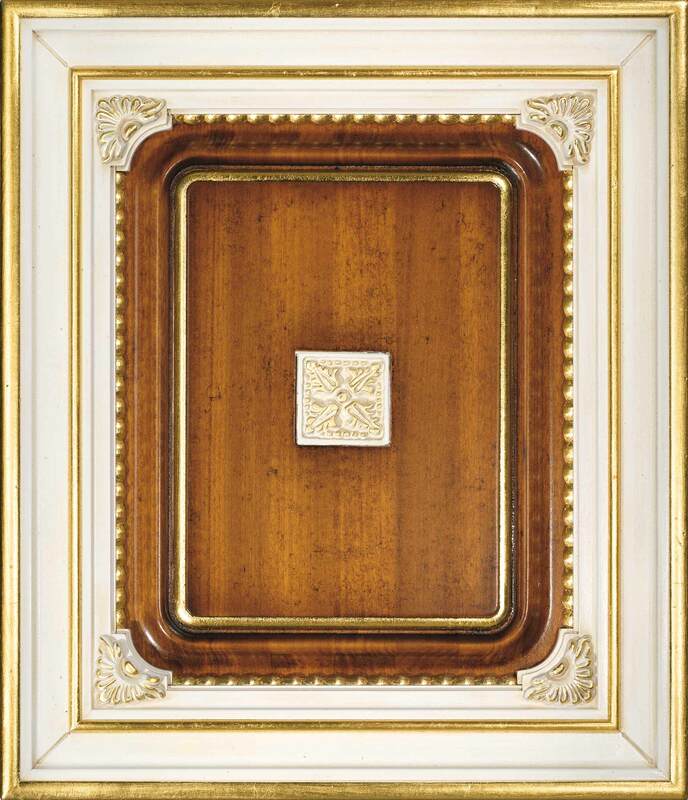 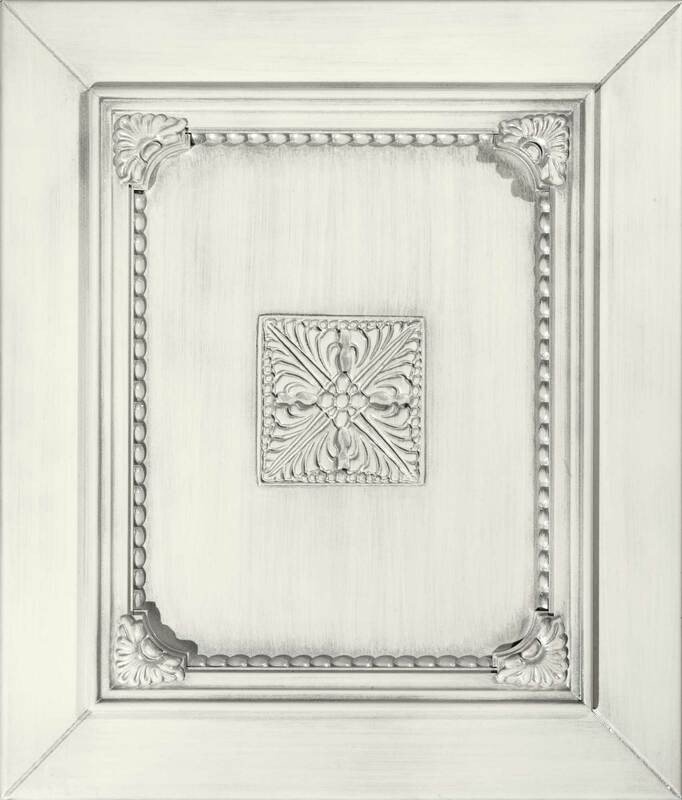 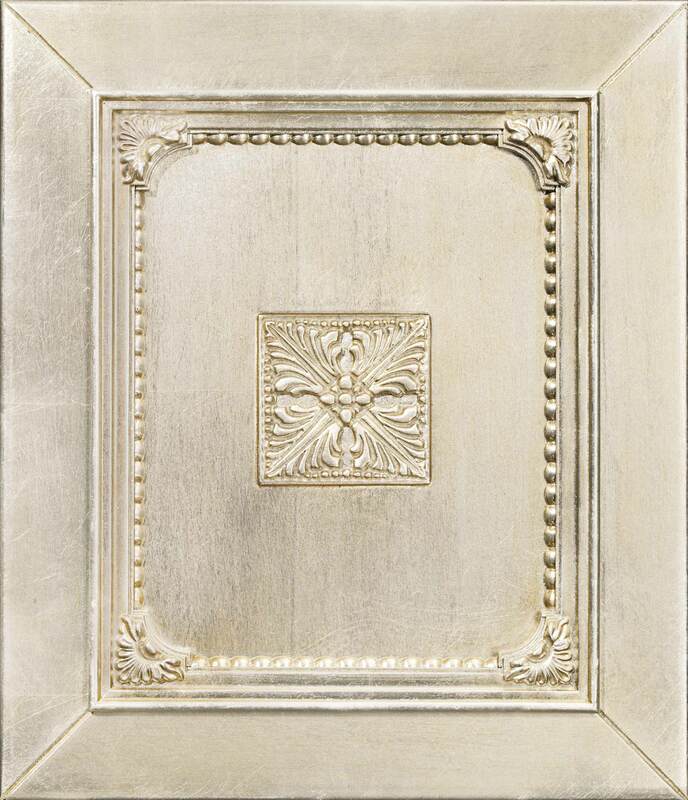 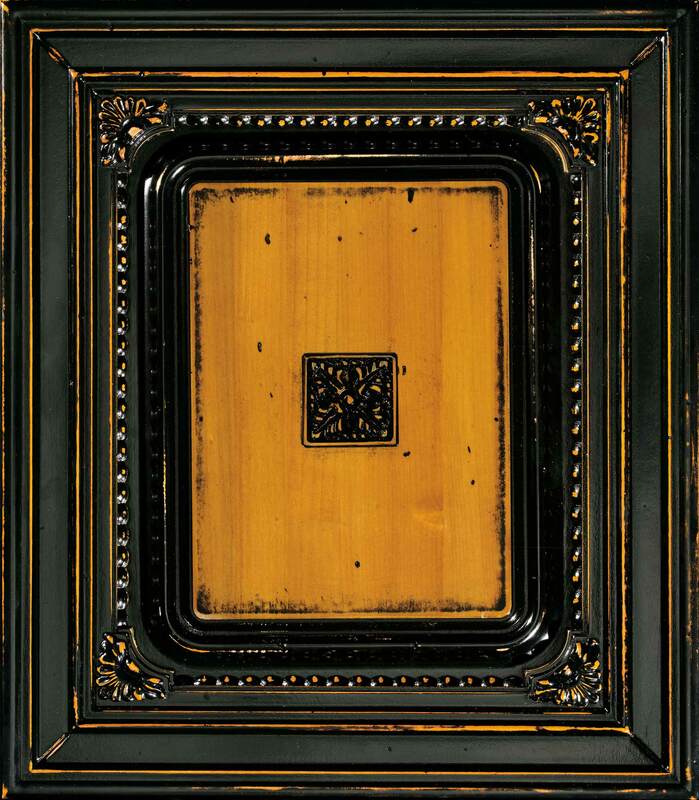 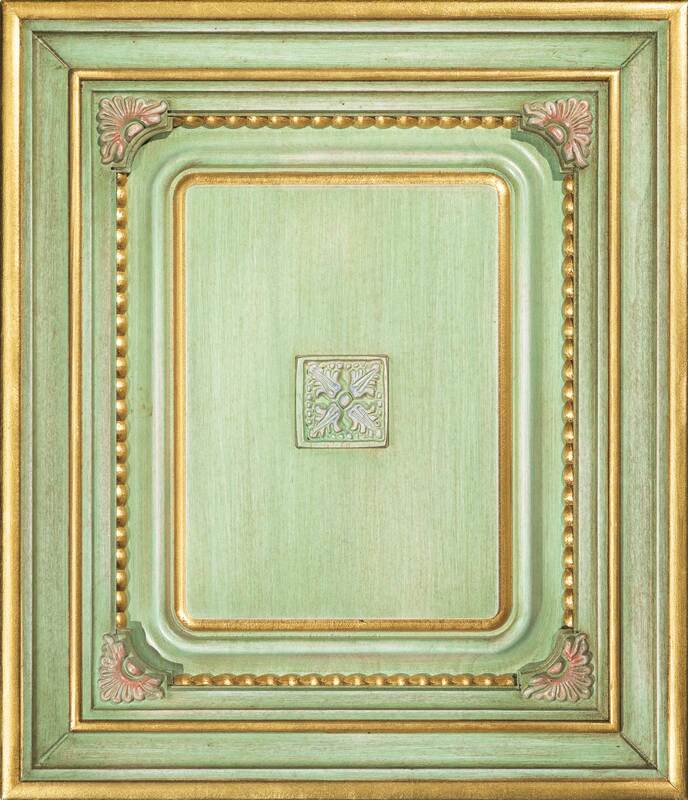 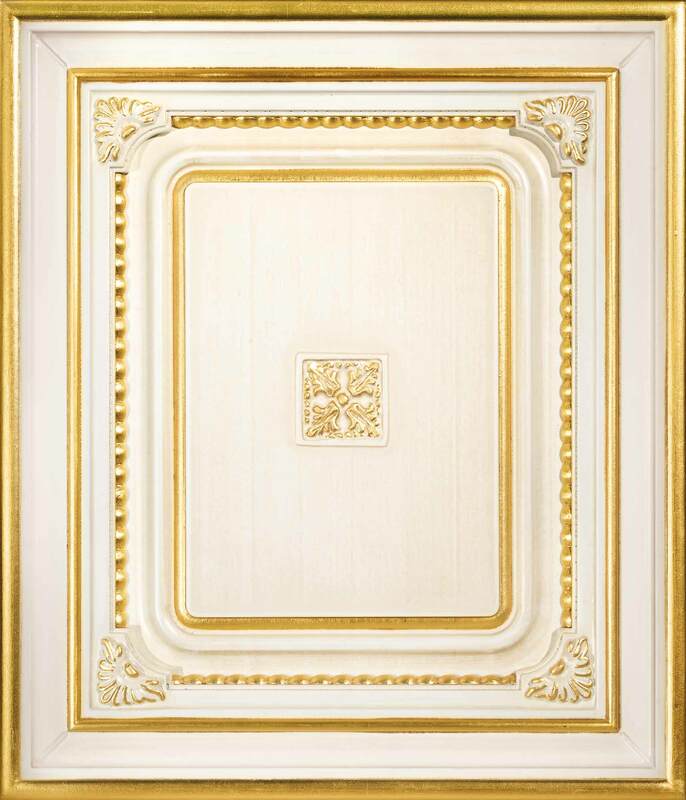 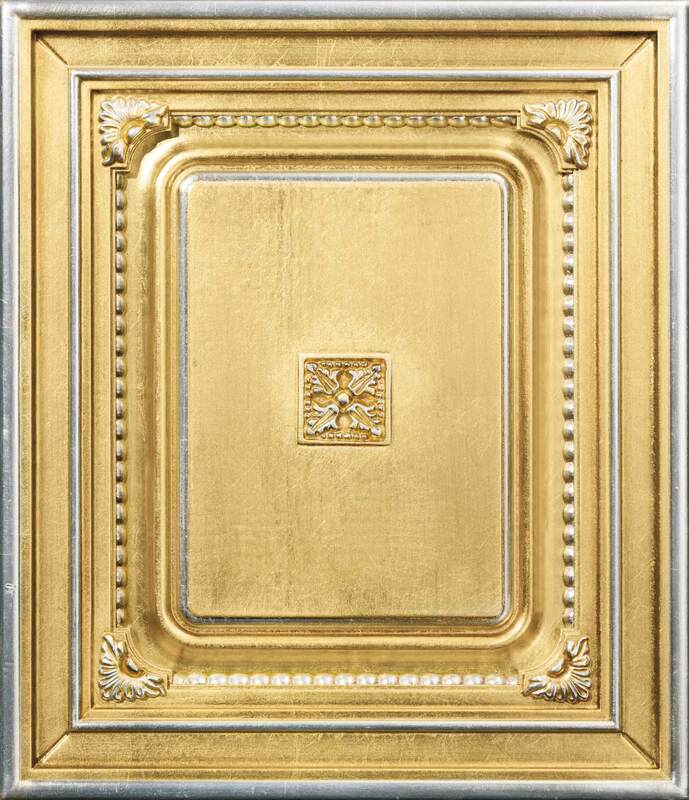 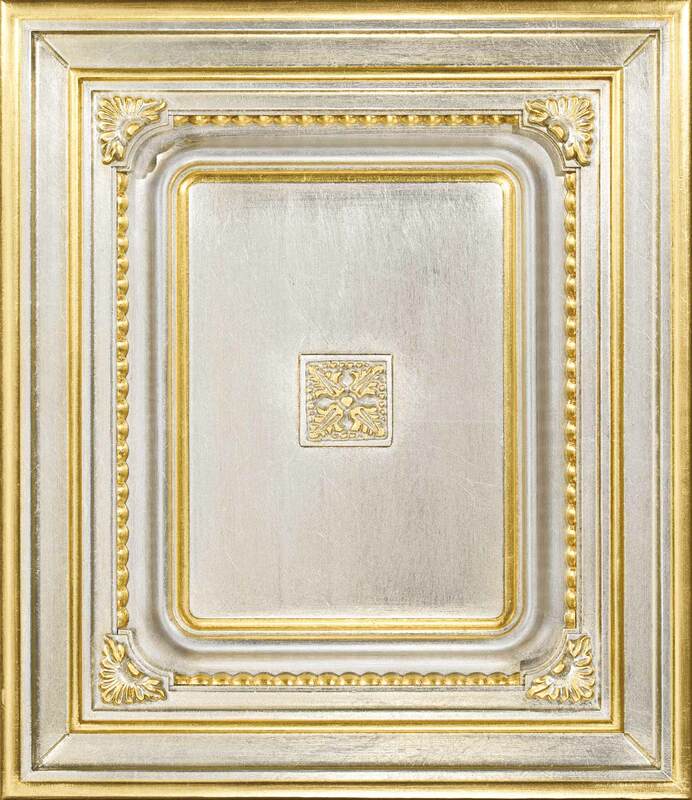 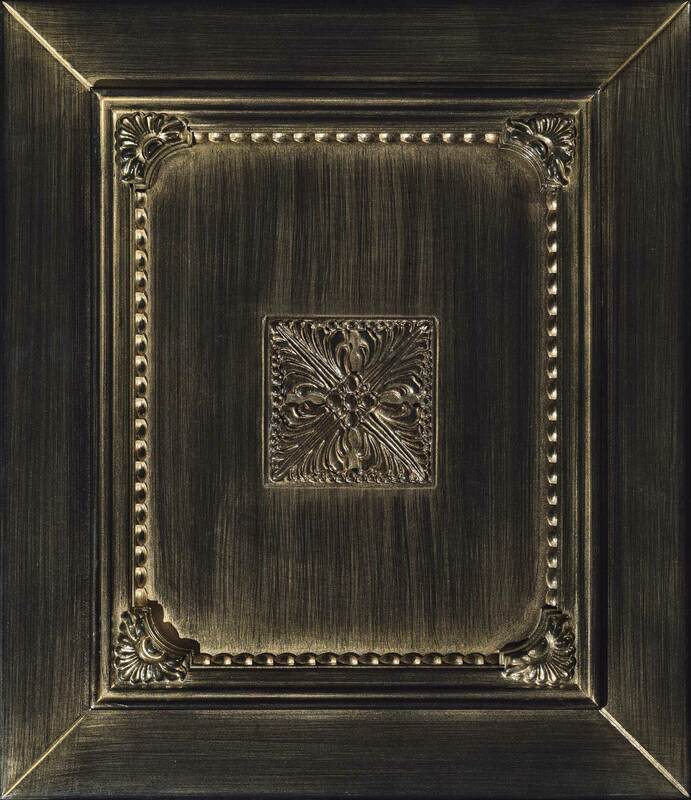 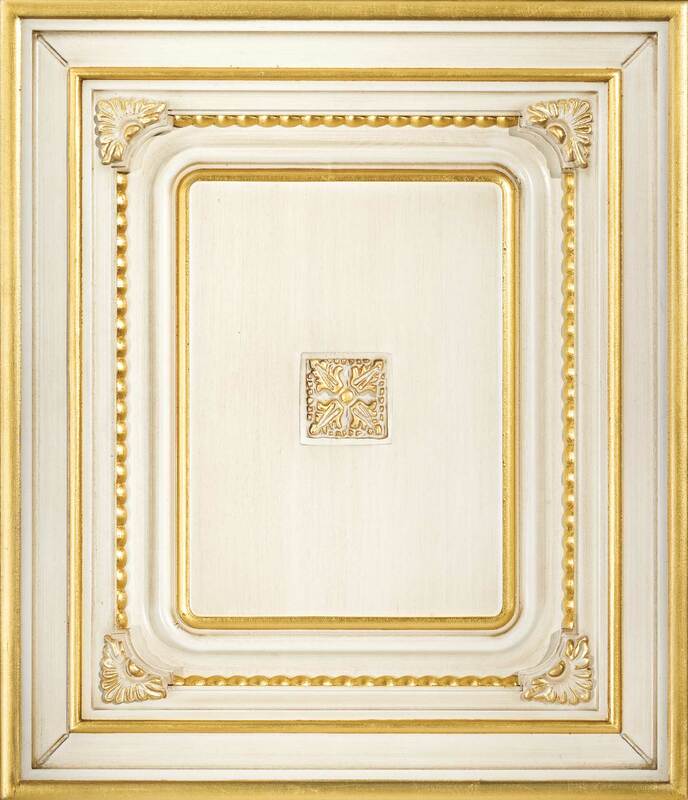 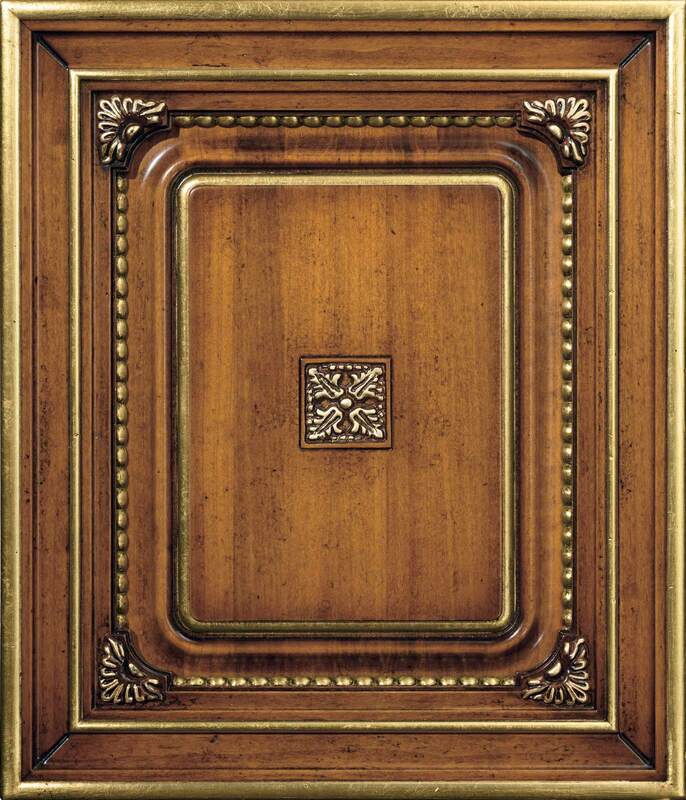 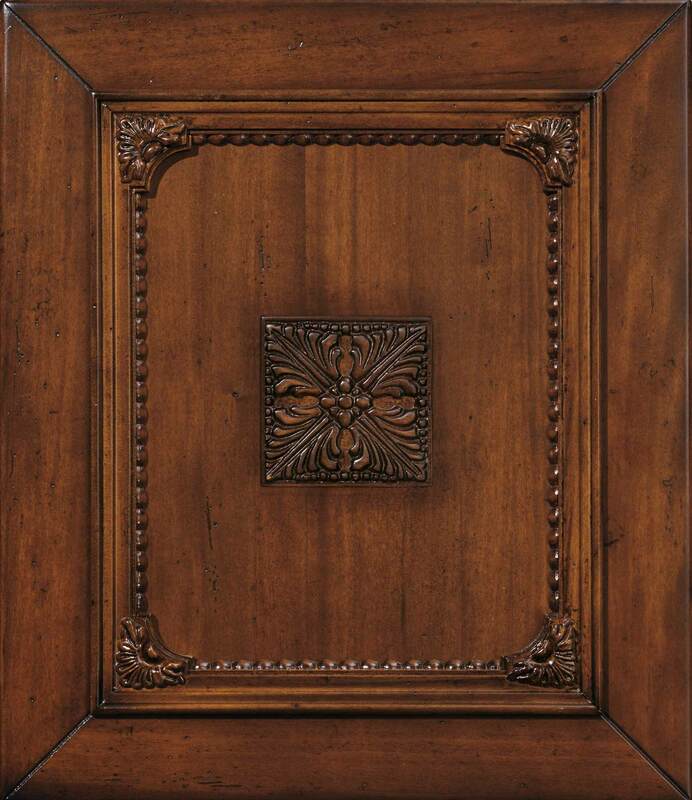 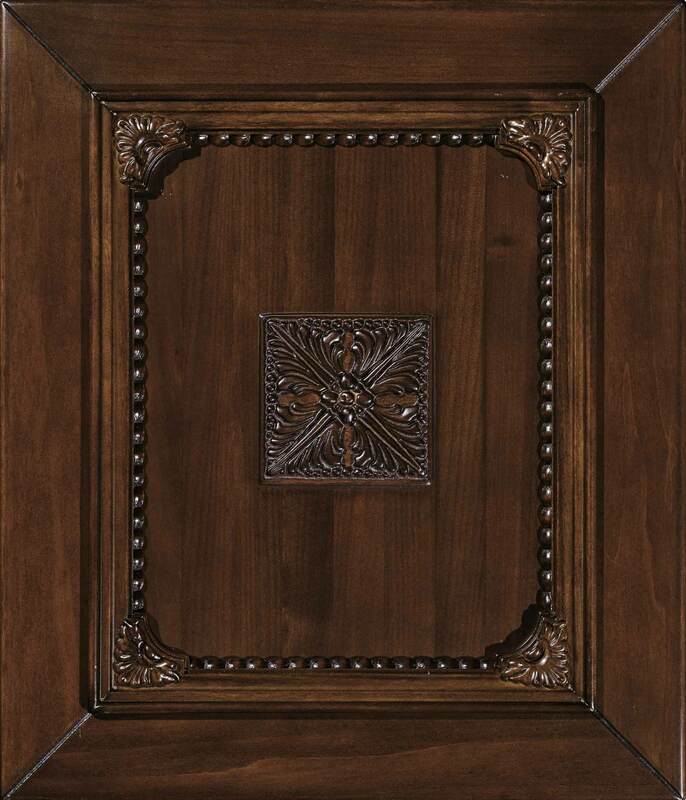 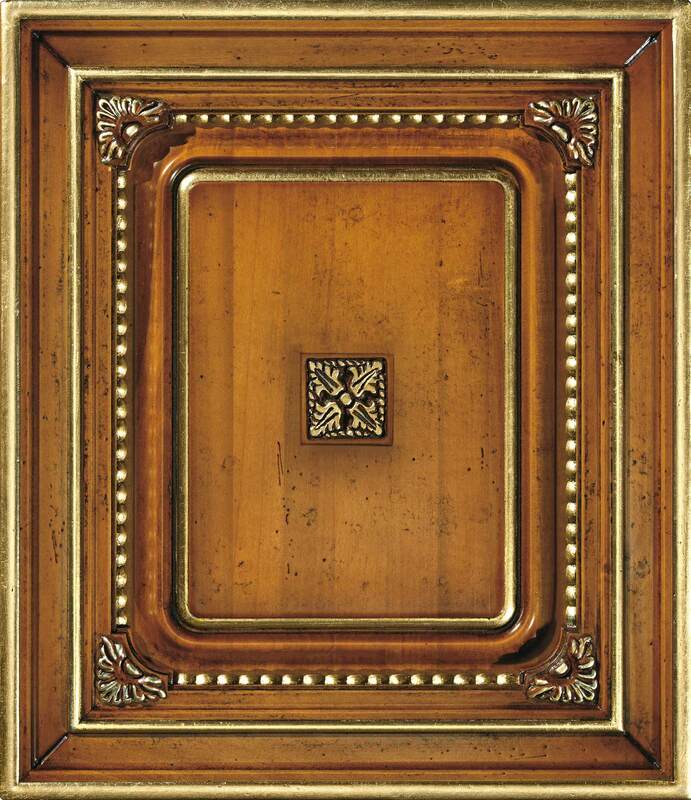 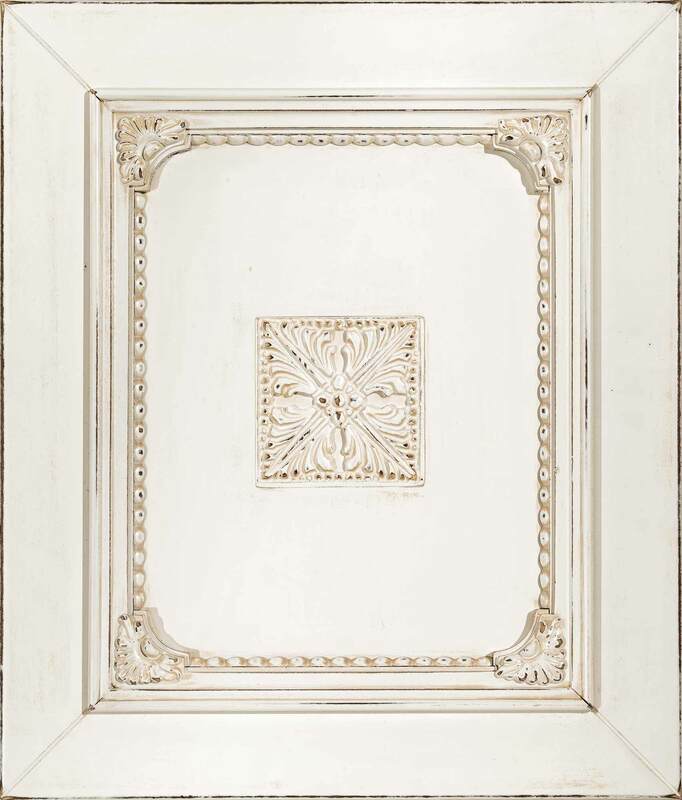 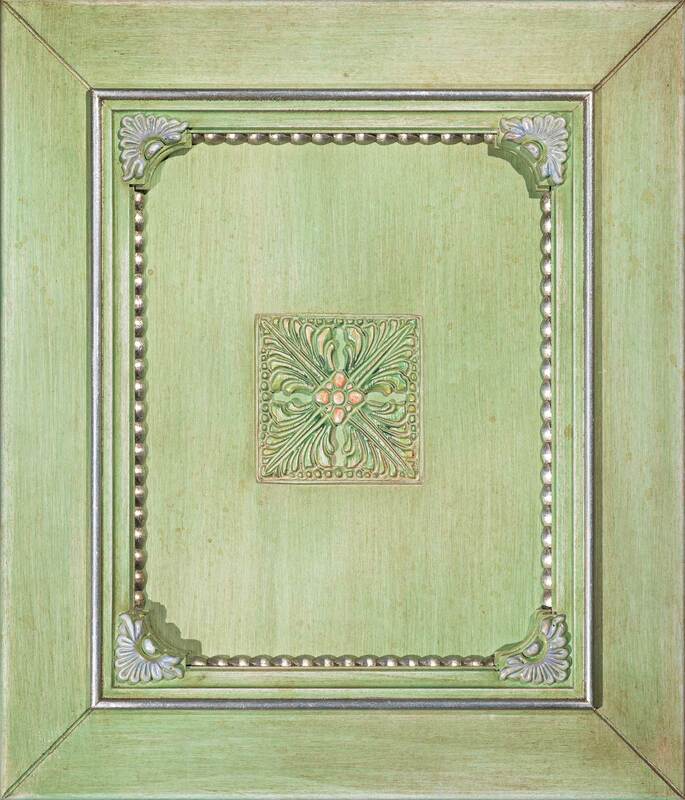 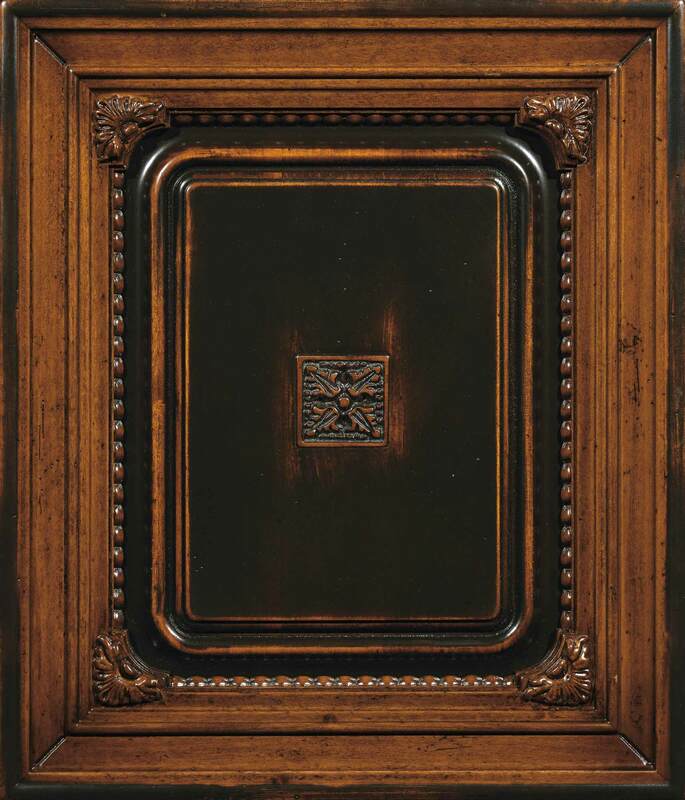 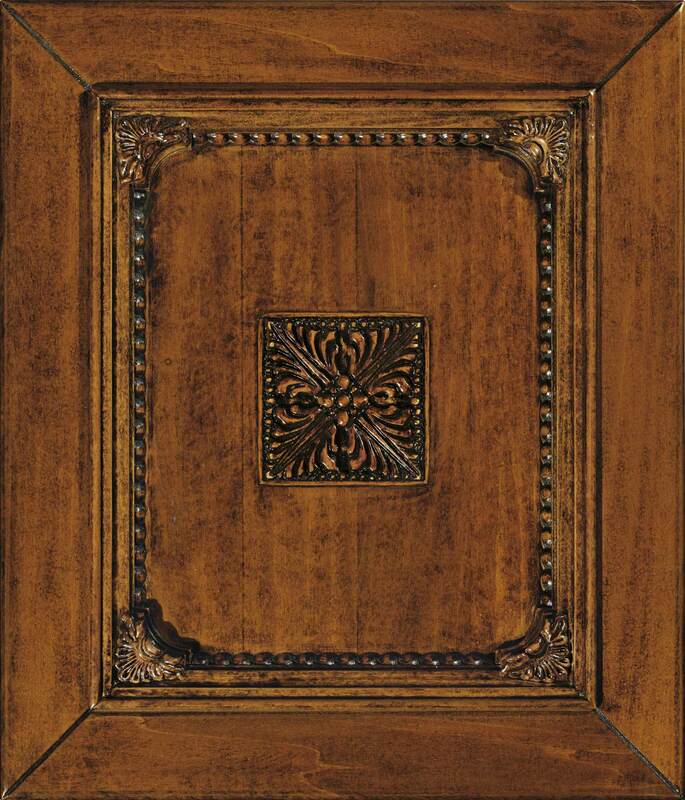 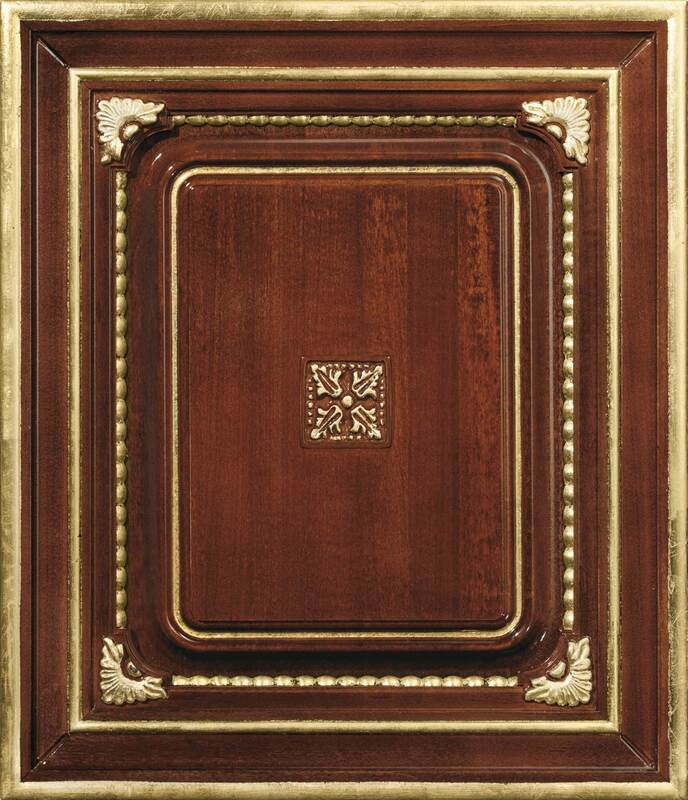 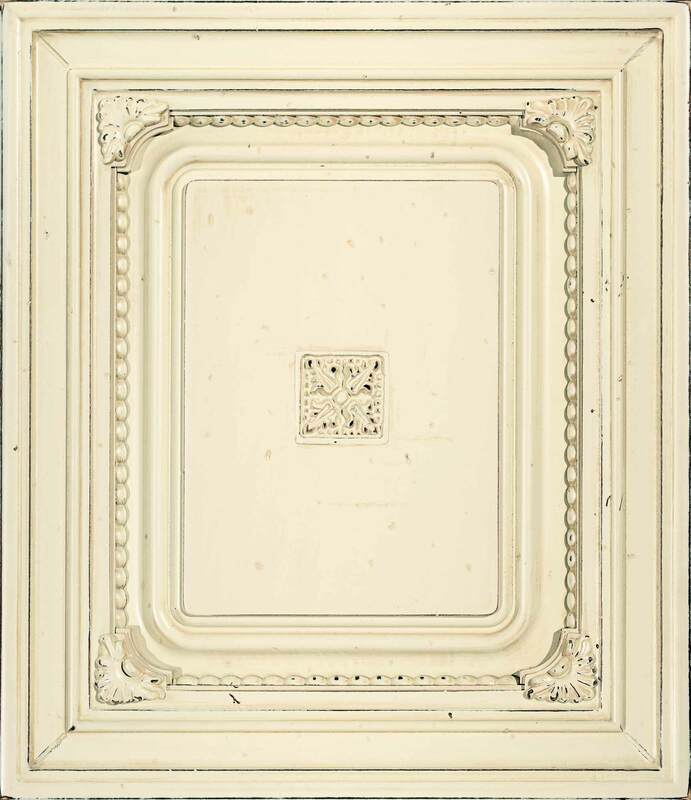 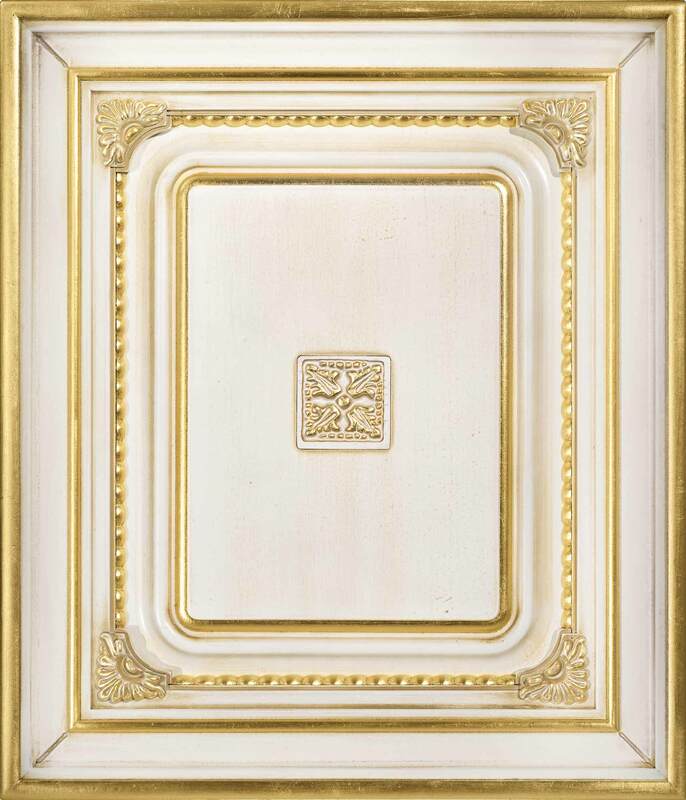 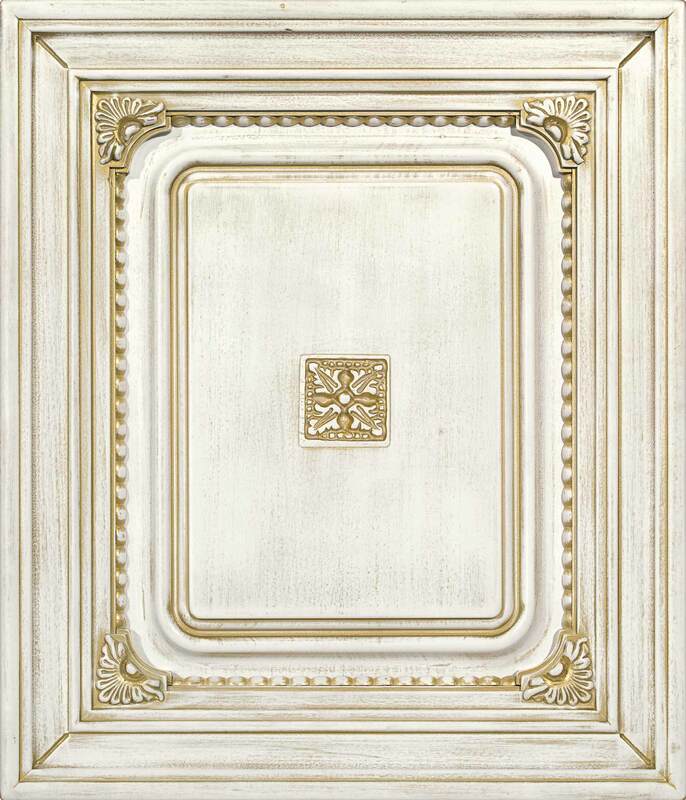 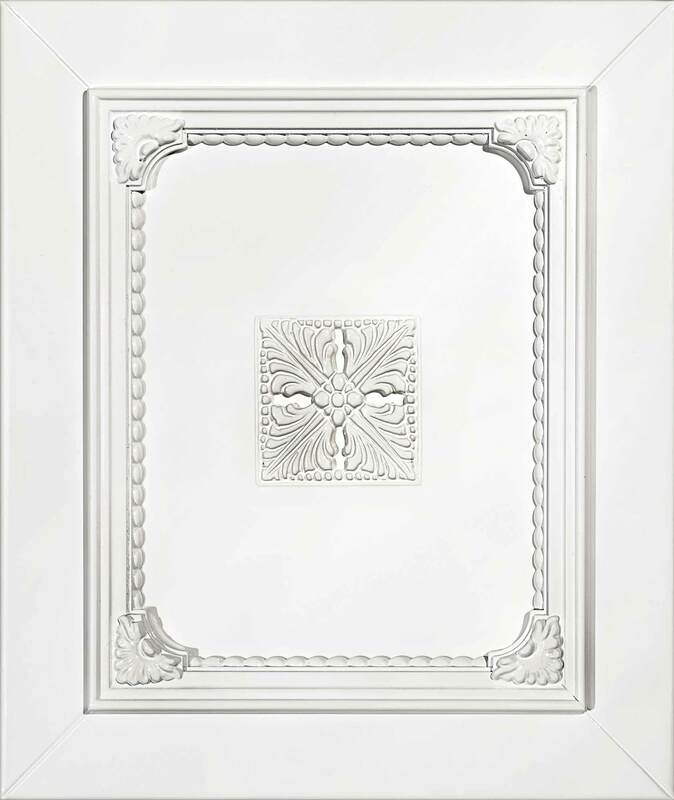 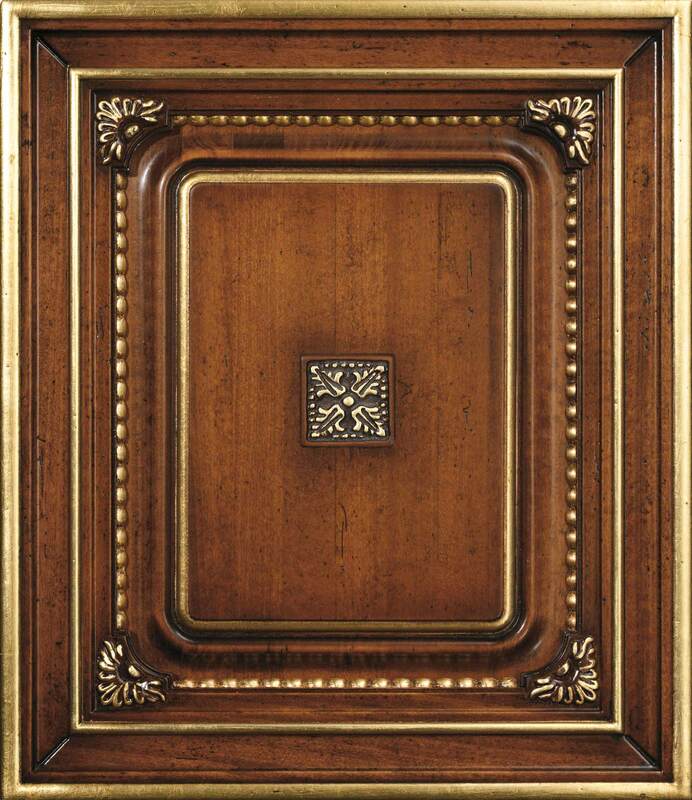 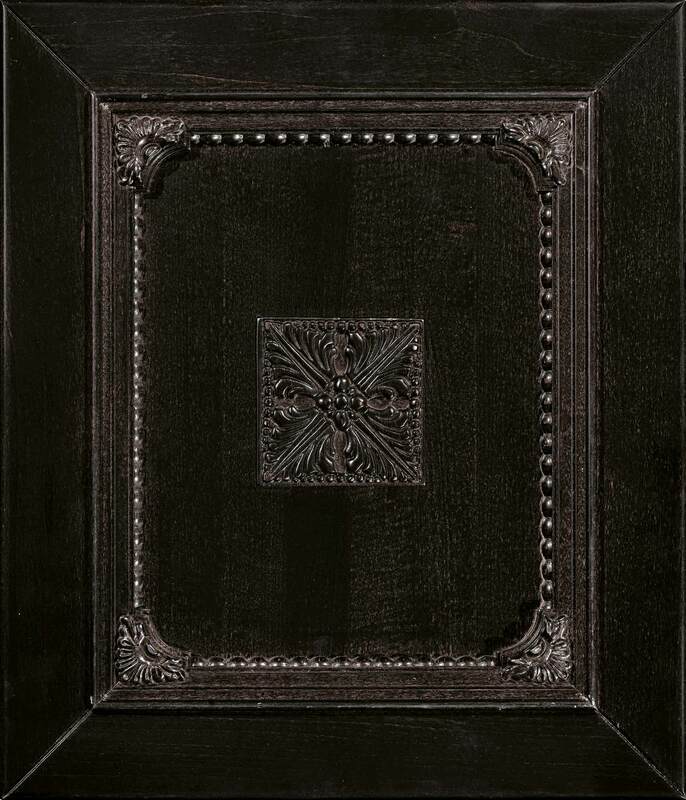 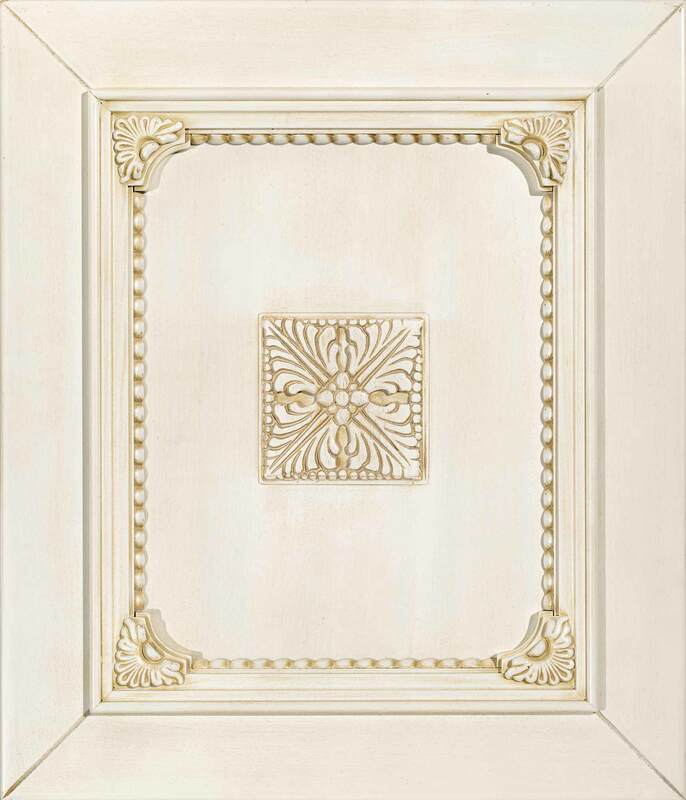 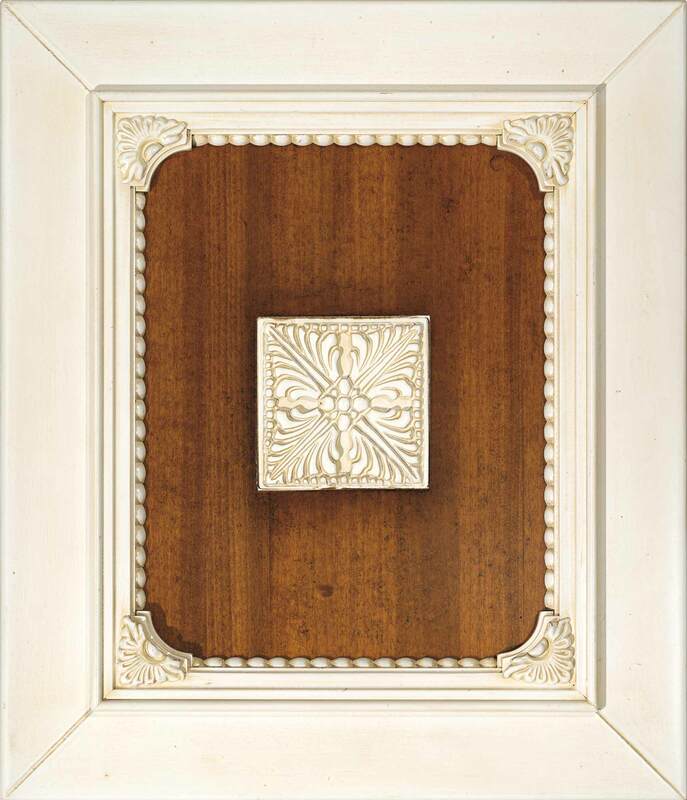 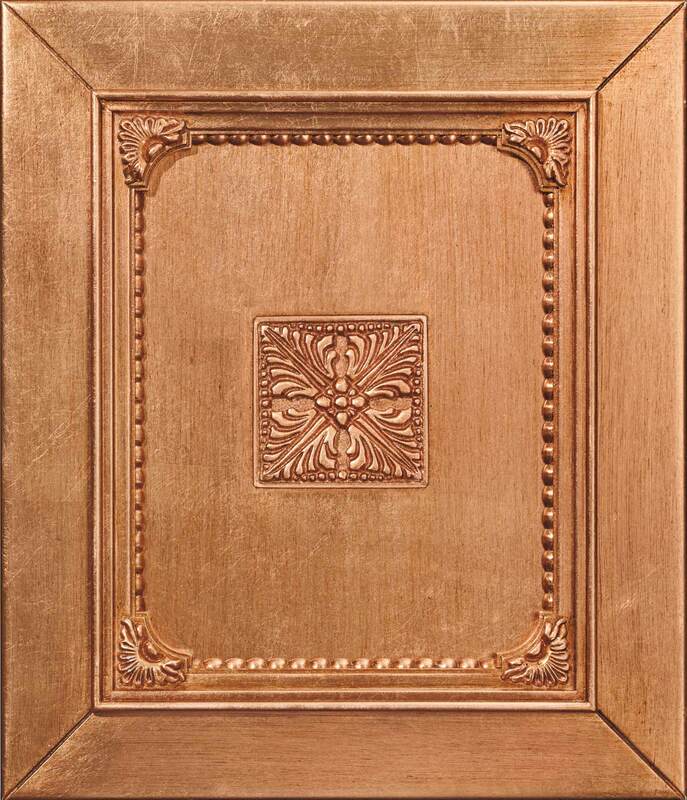 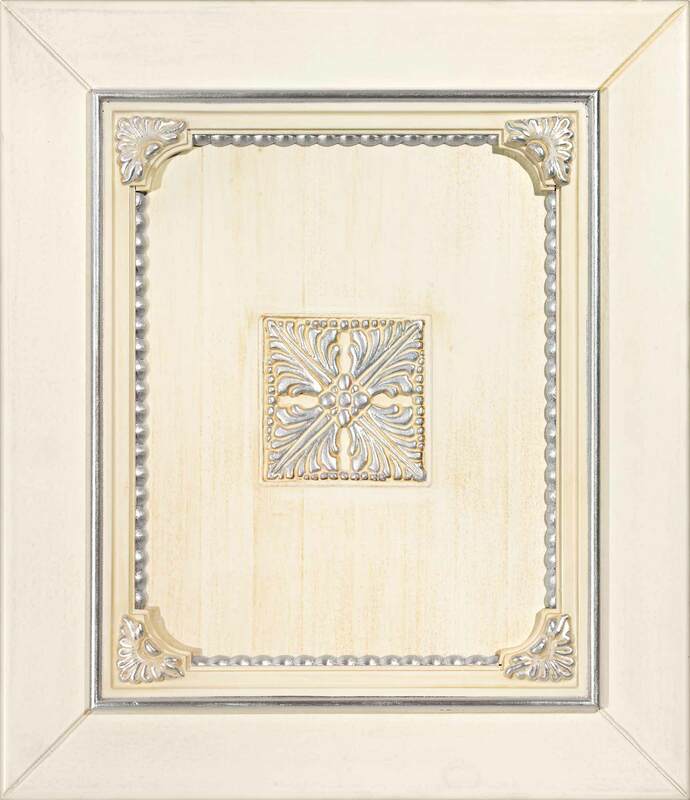 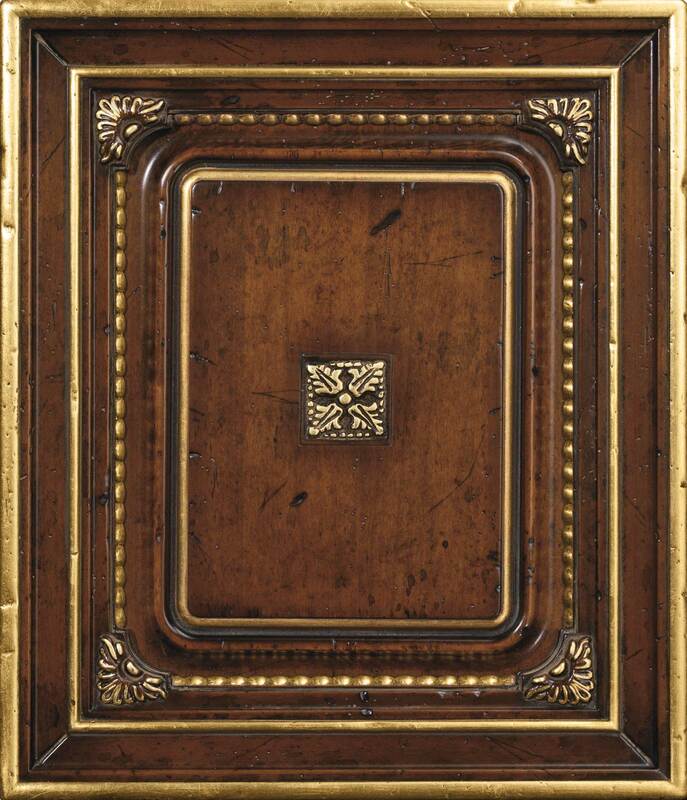 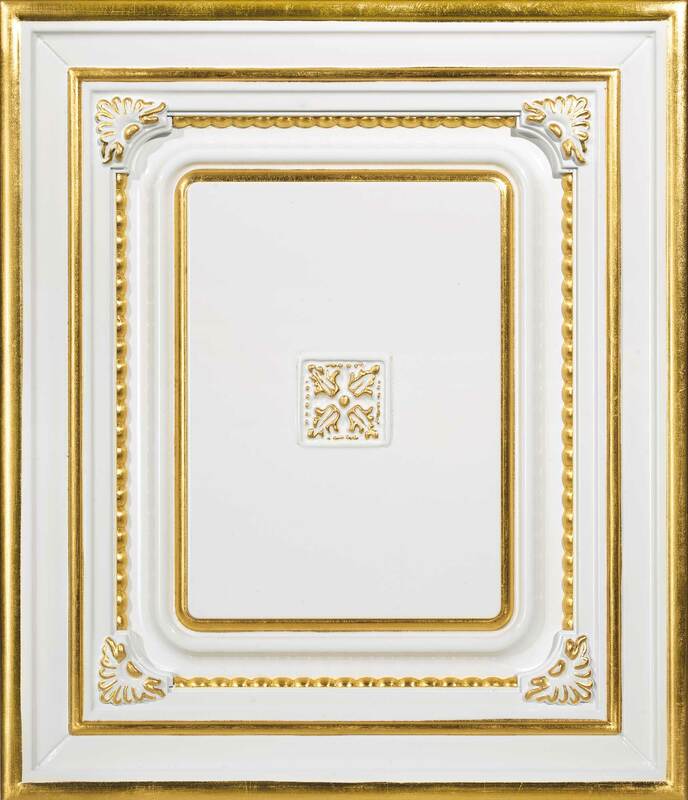 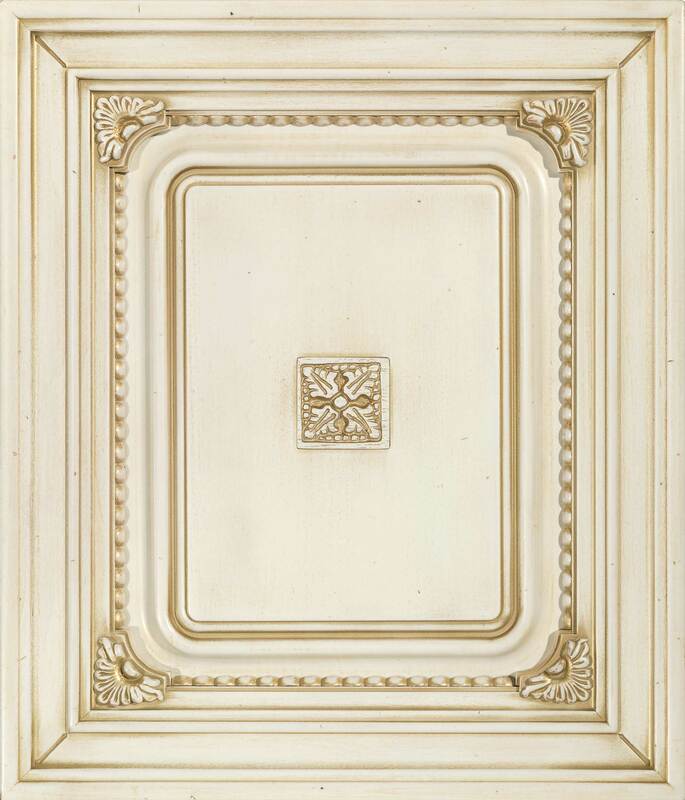 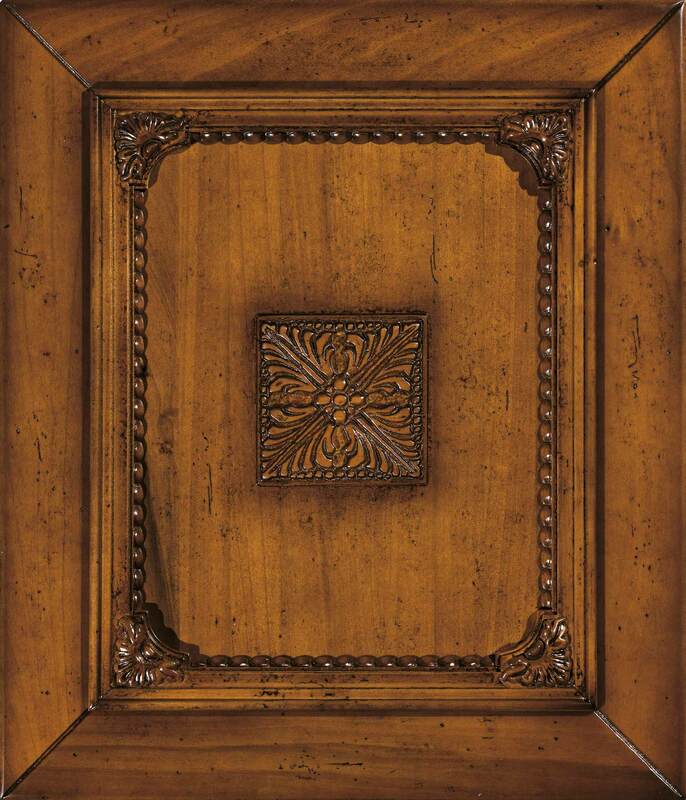 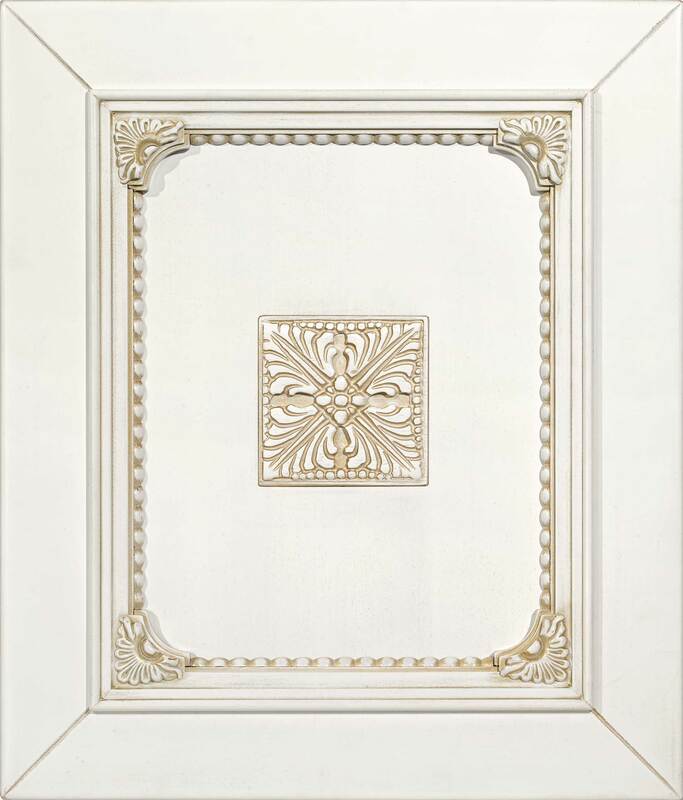 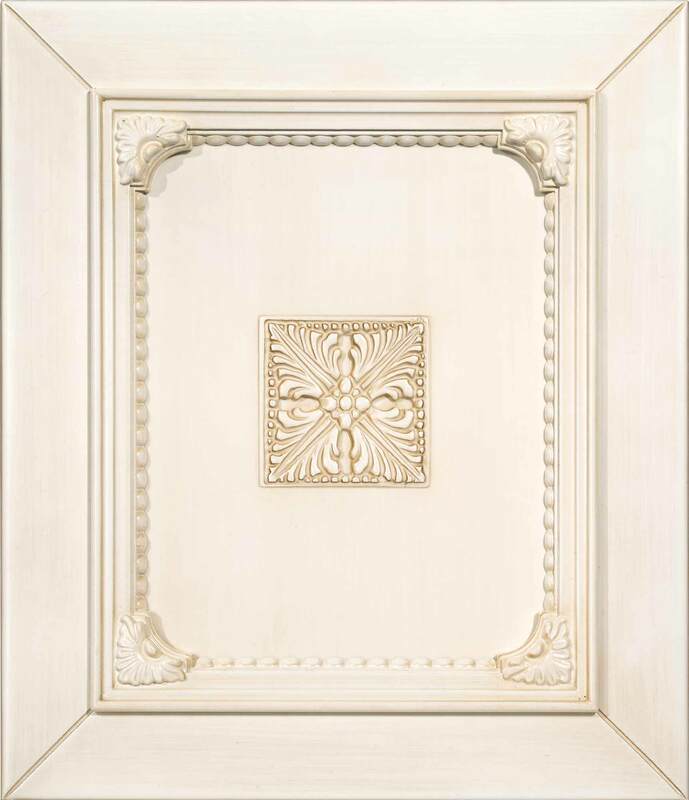 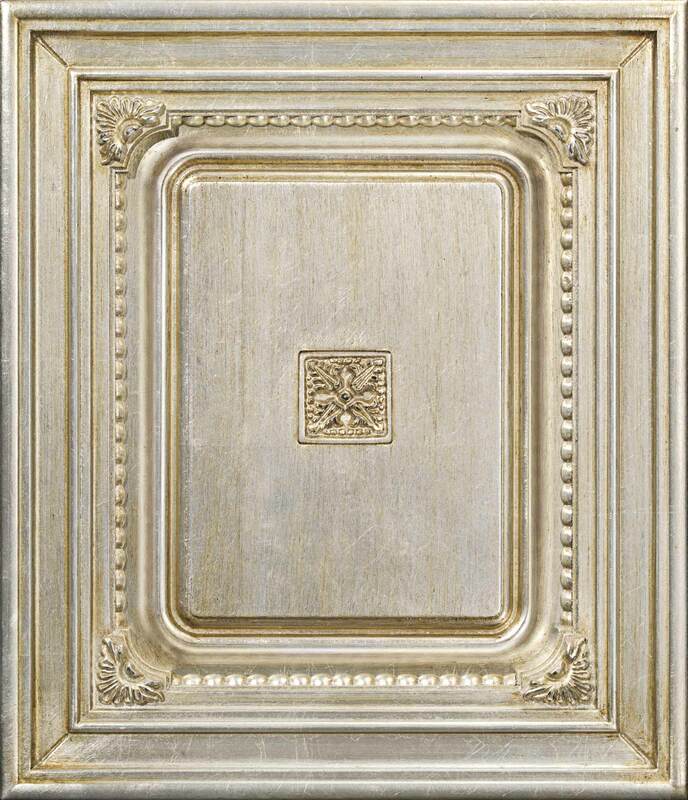 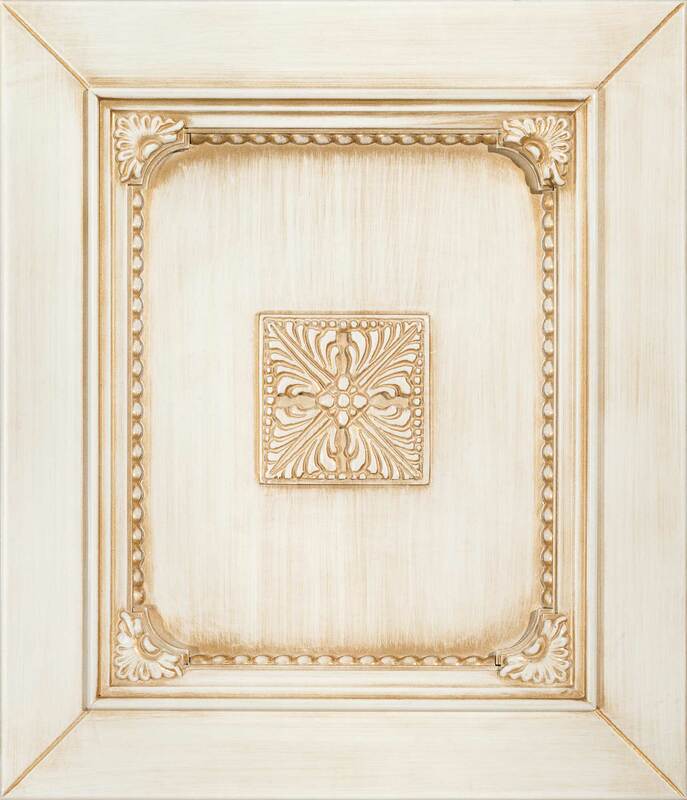 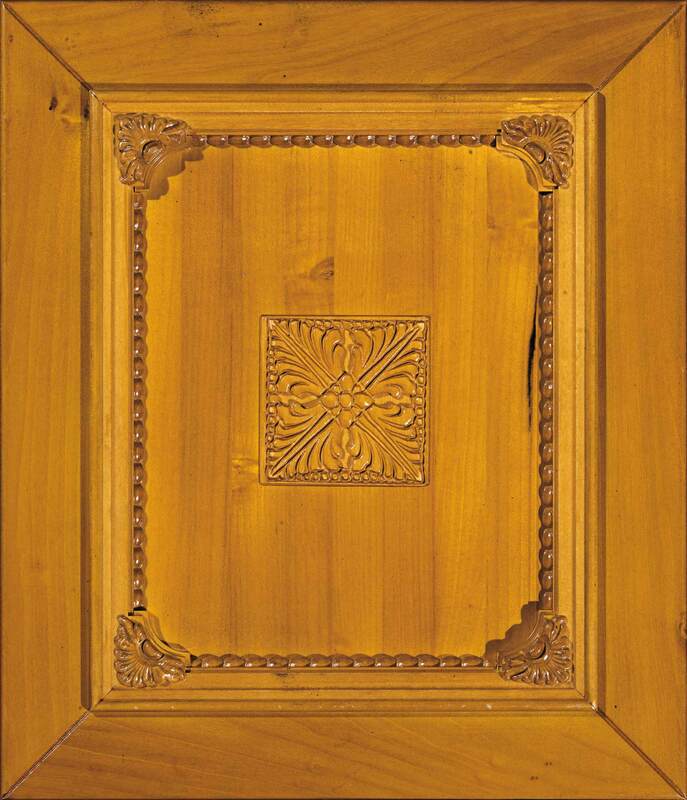 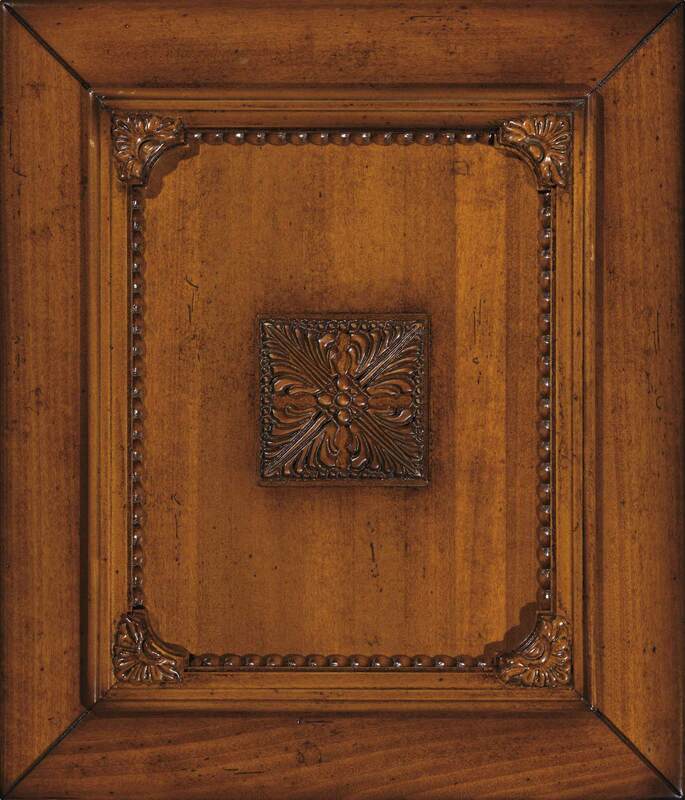 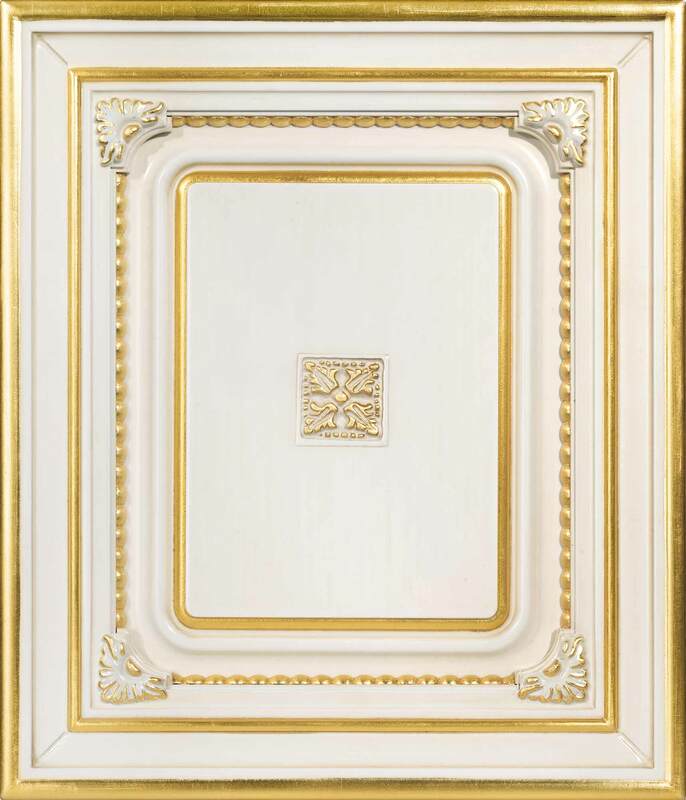 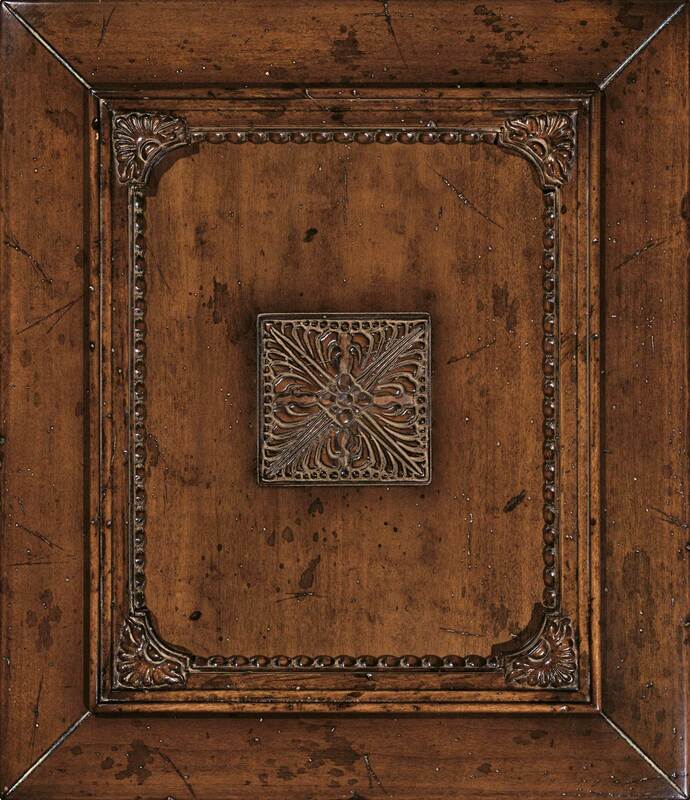 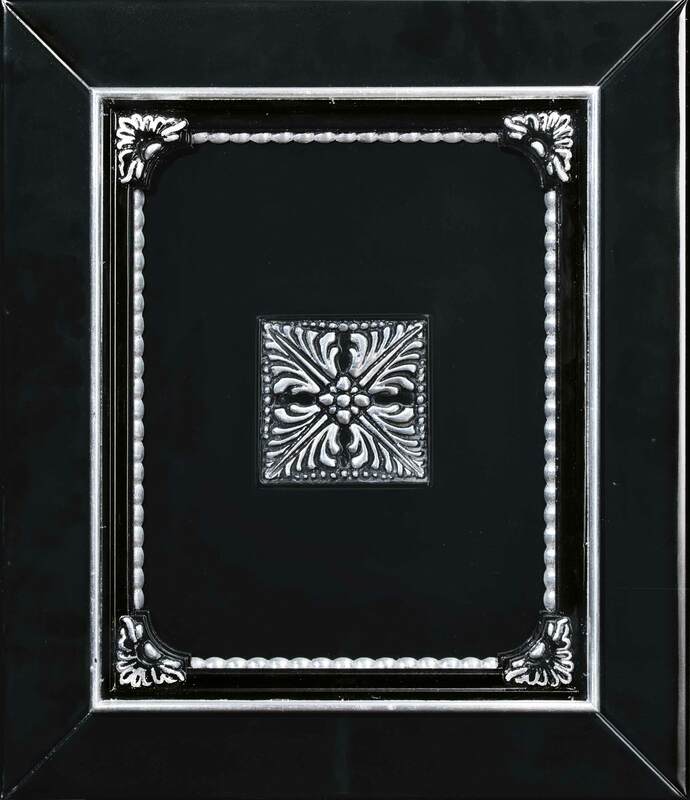 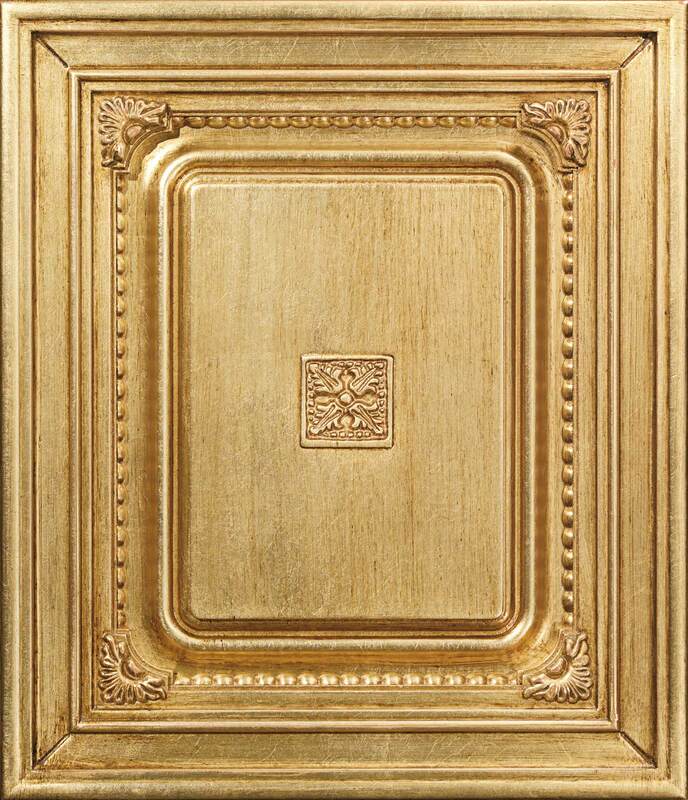 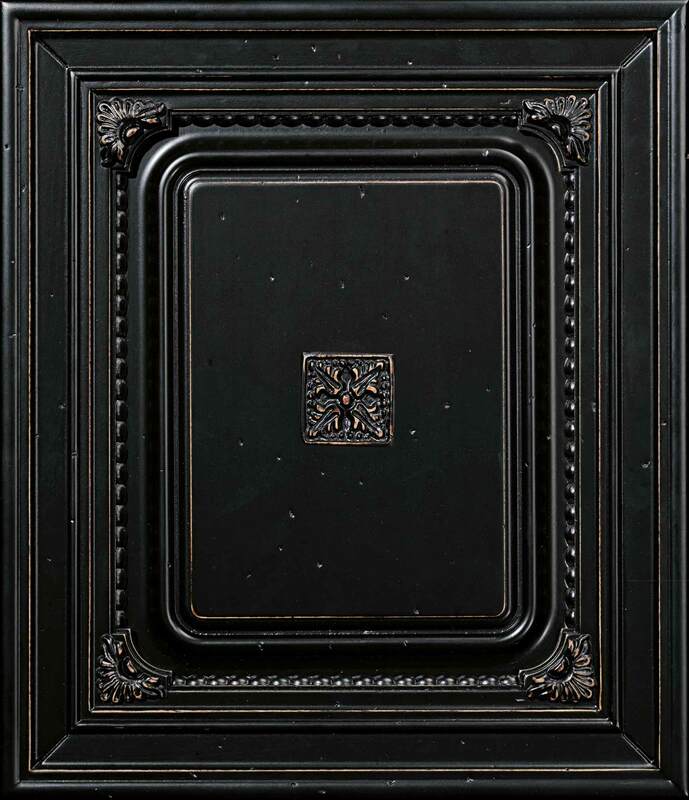 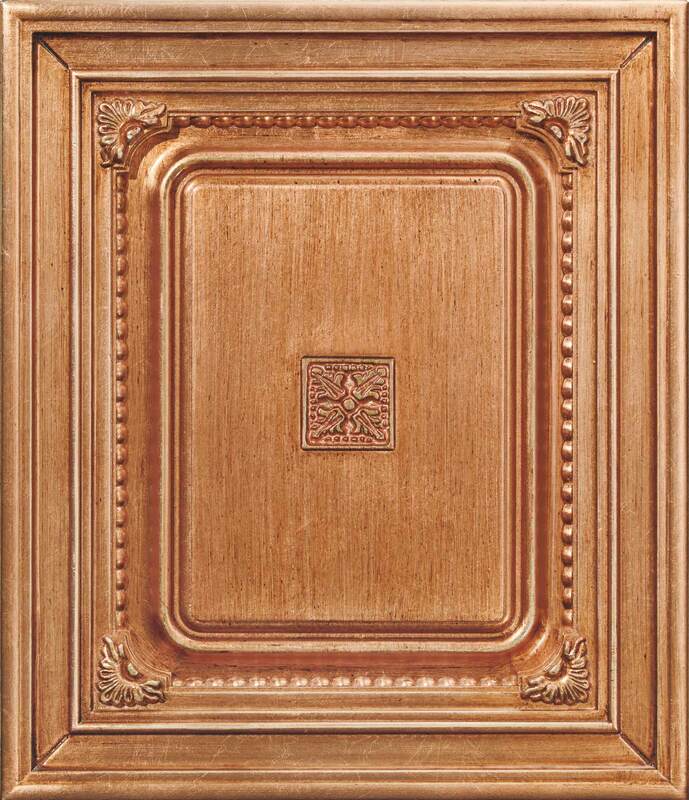 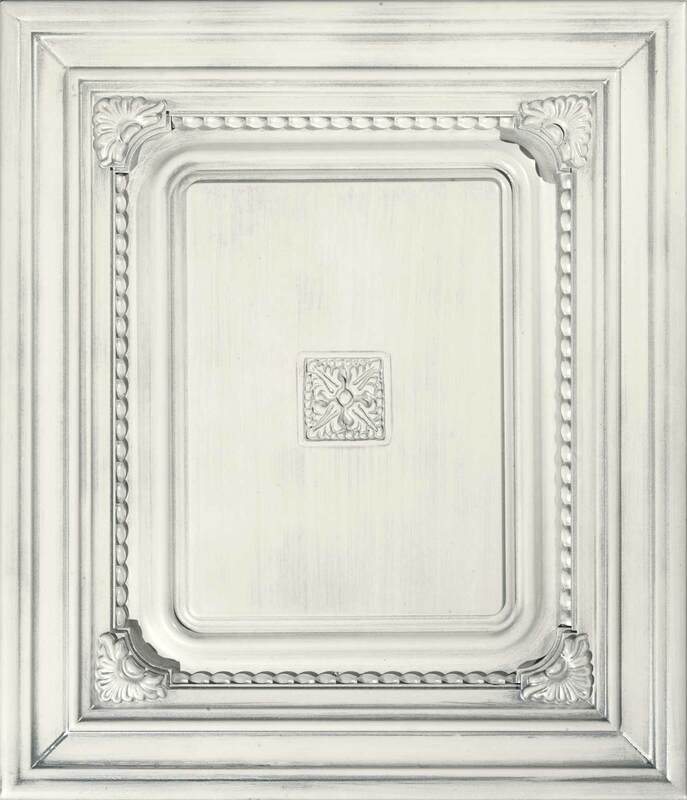 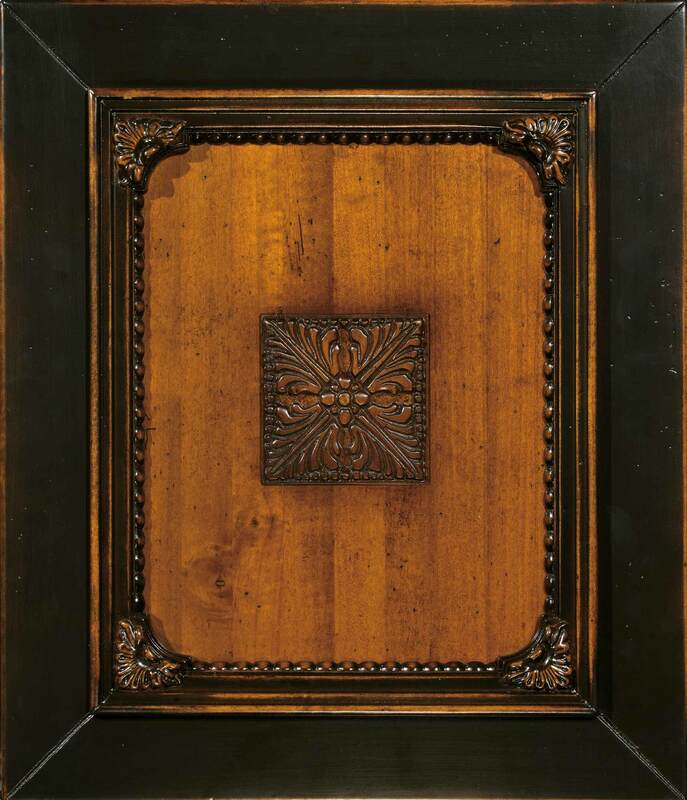 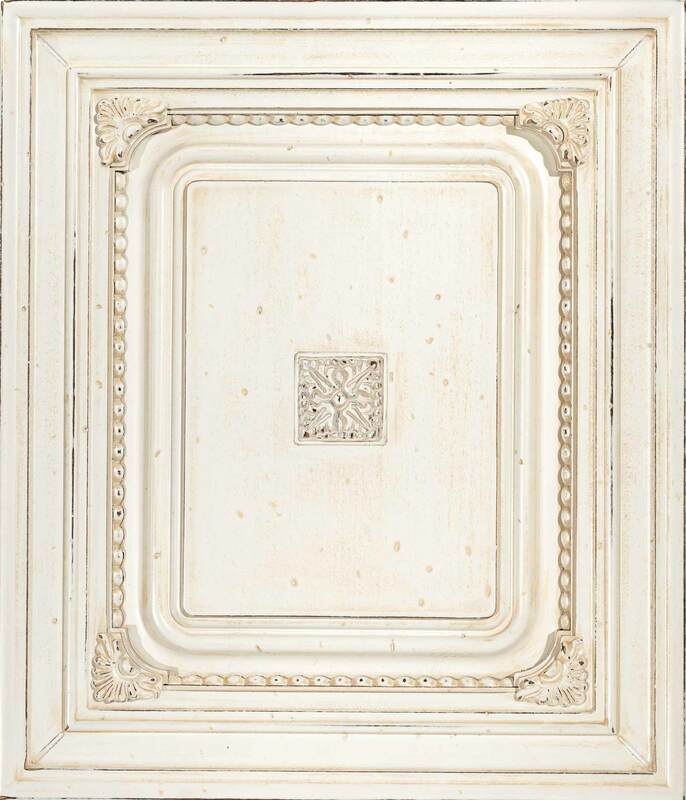 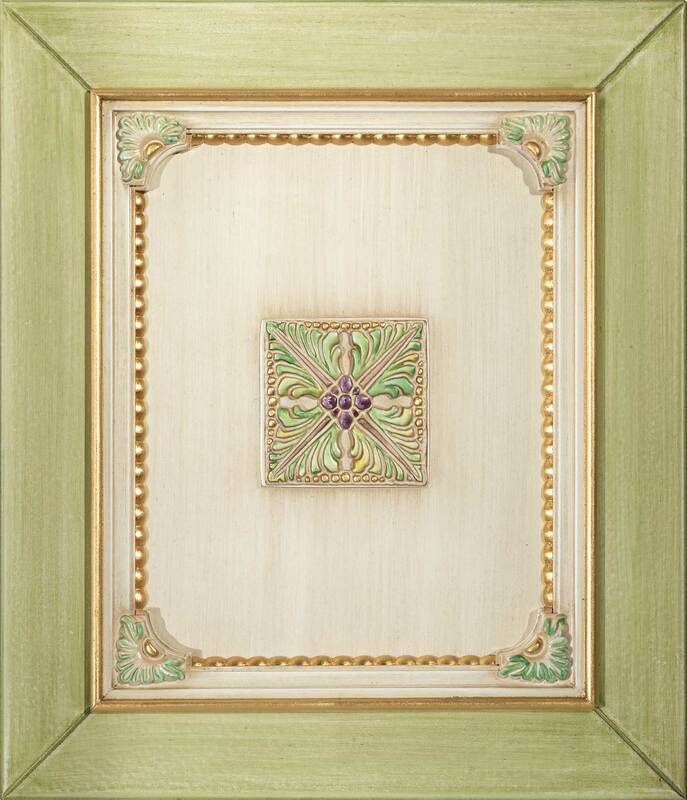 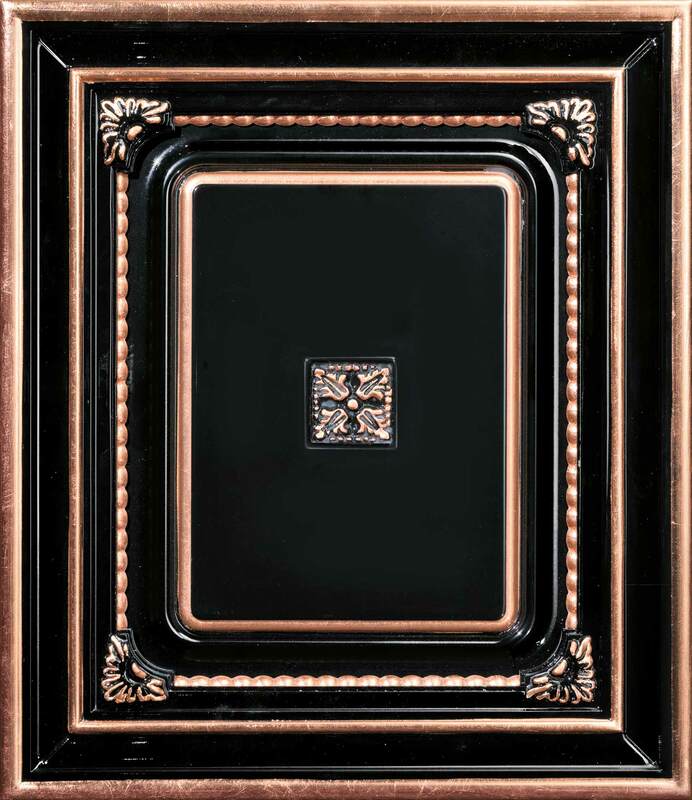 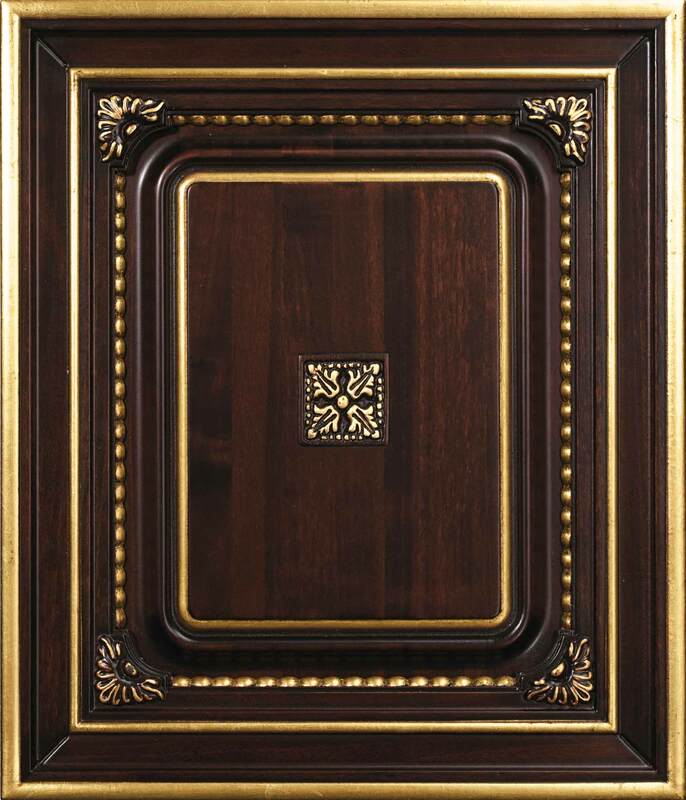 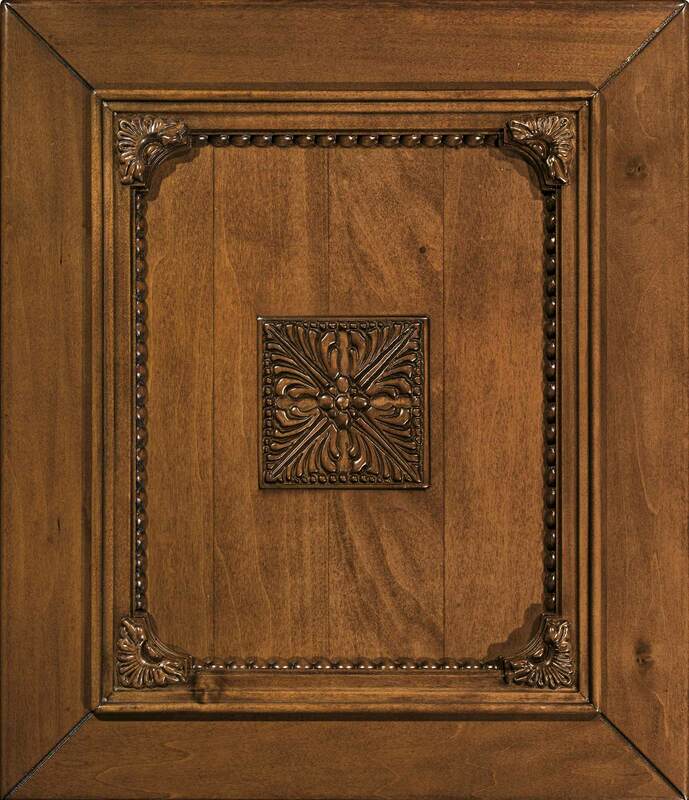 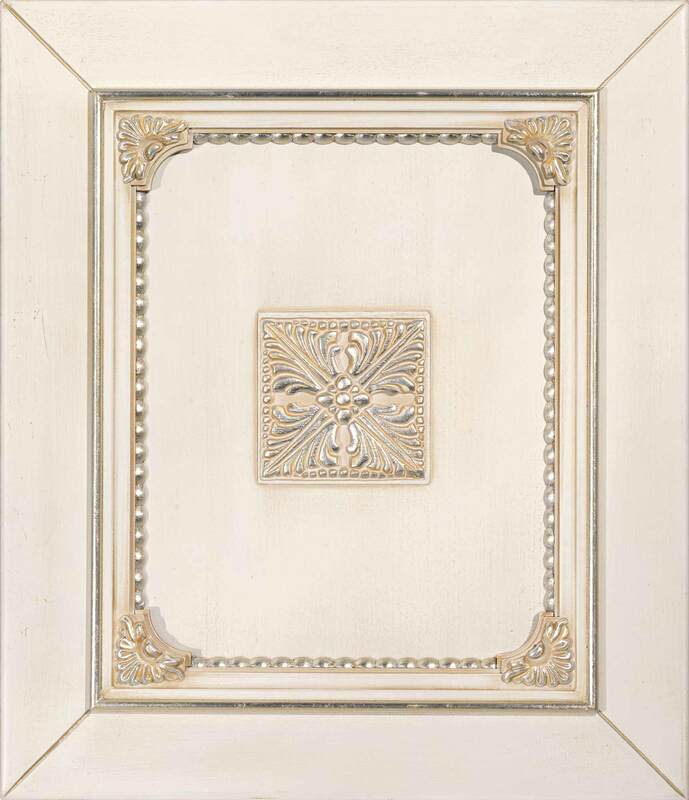 Frame with carved corners and double band. 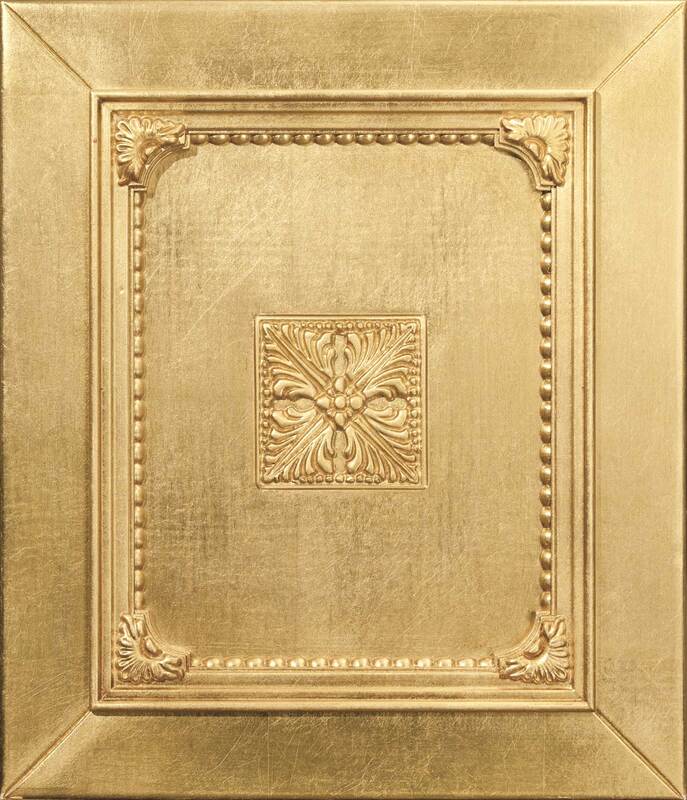 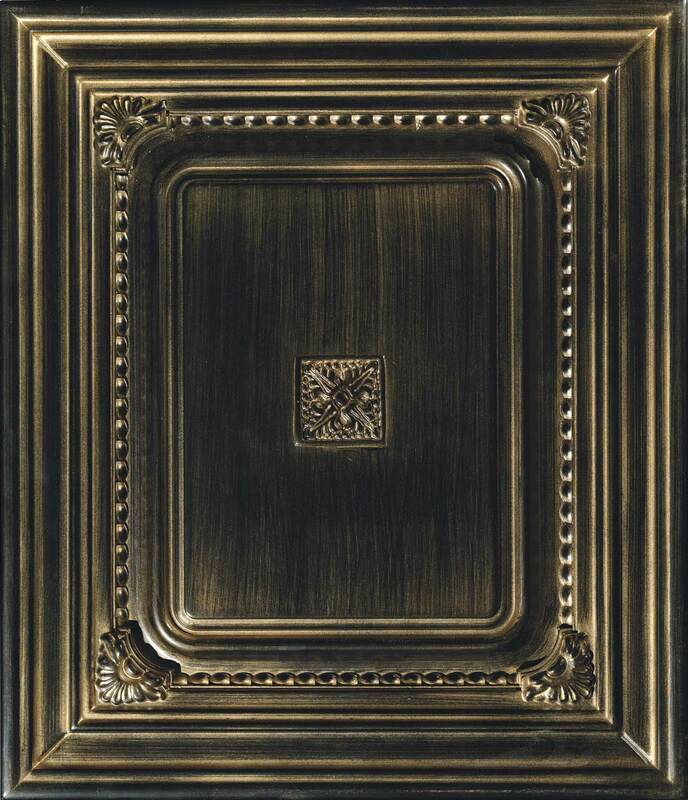 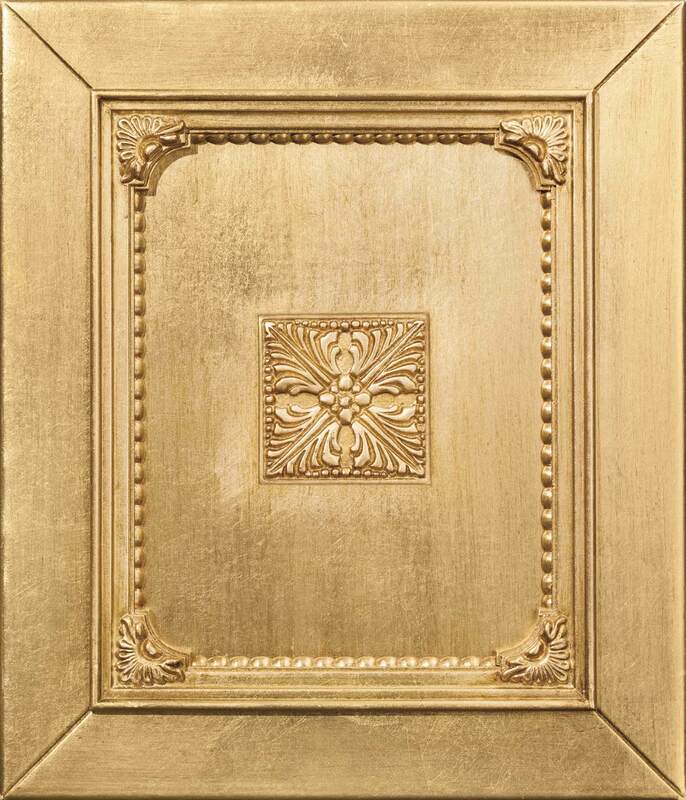 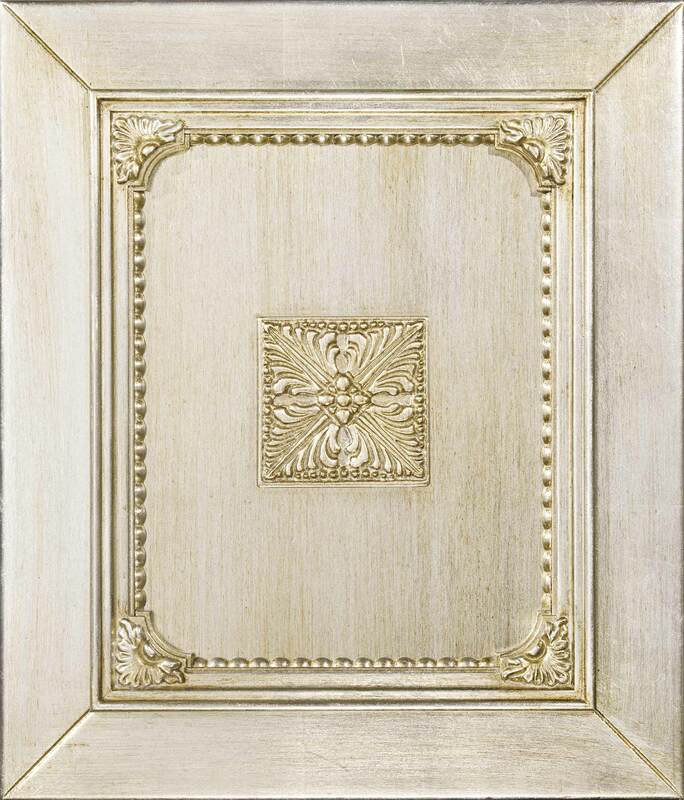 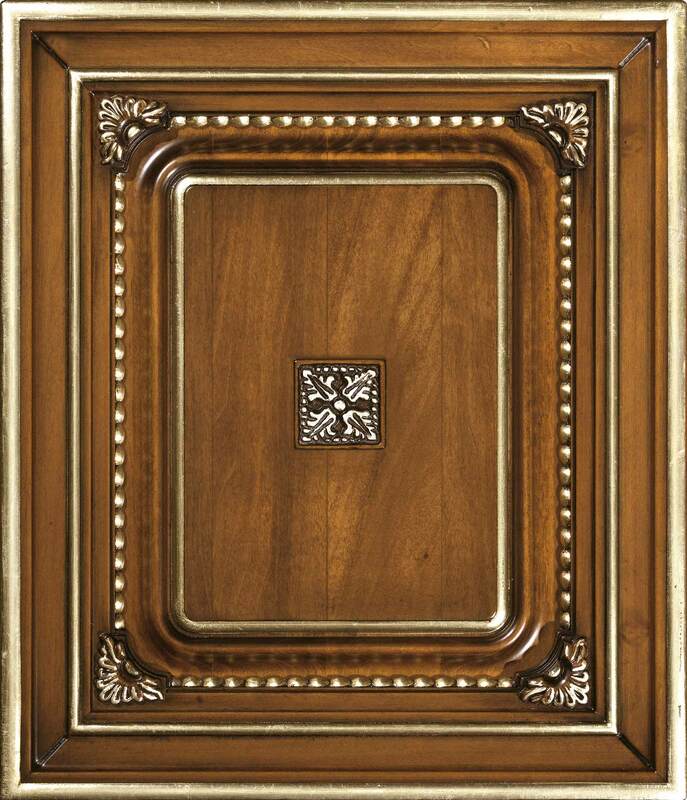 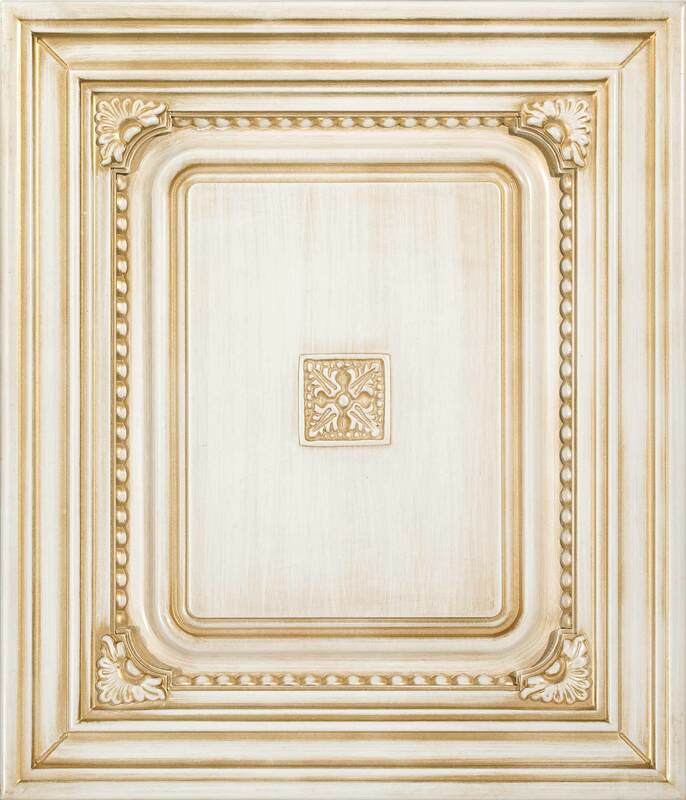 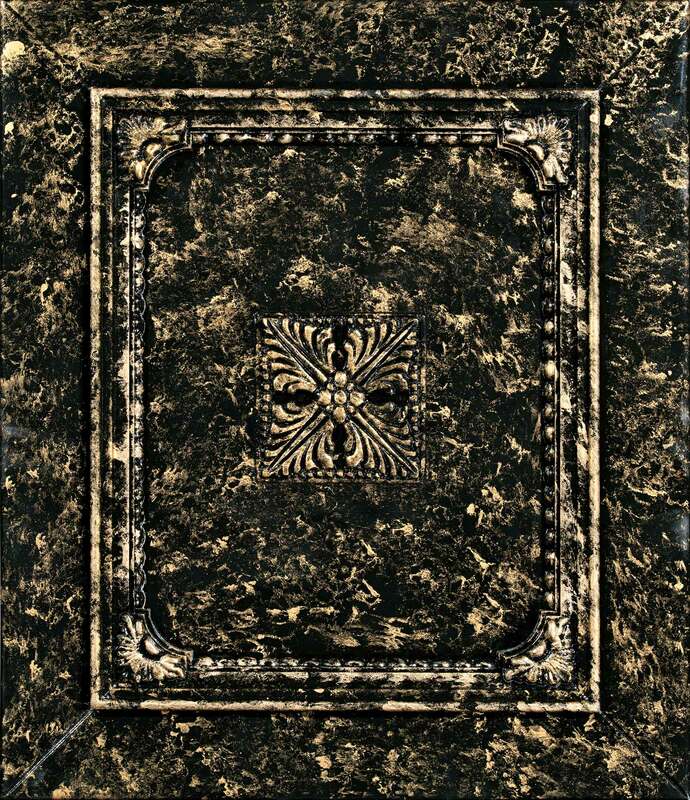 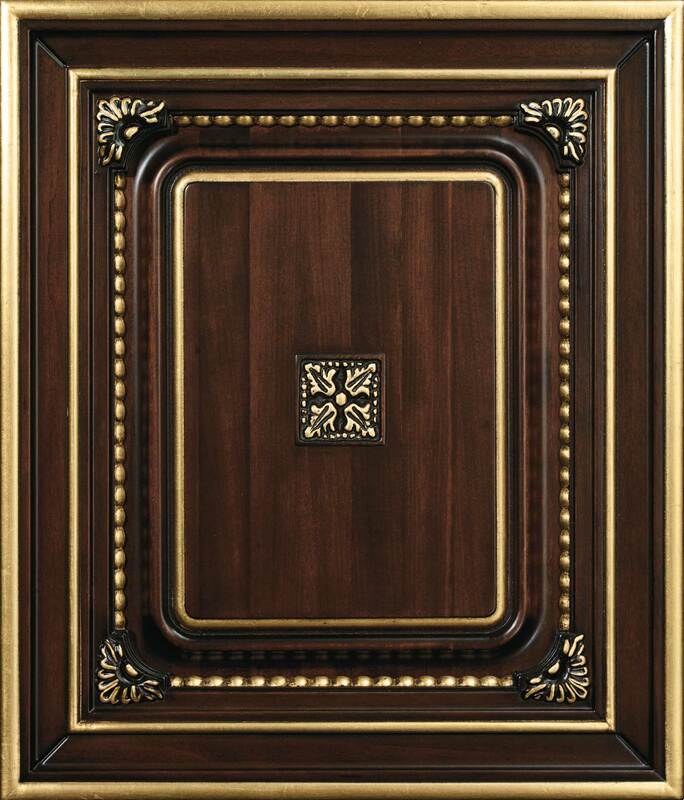 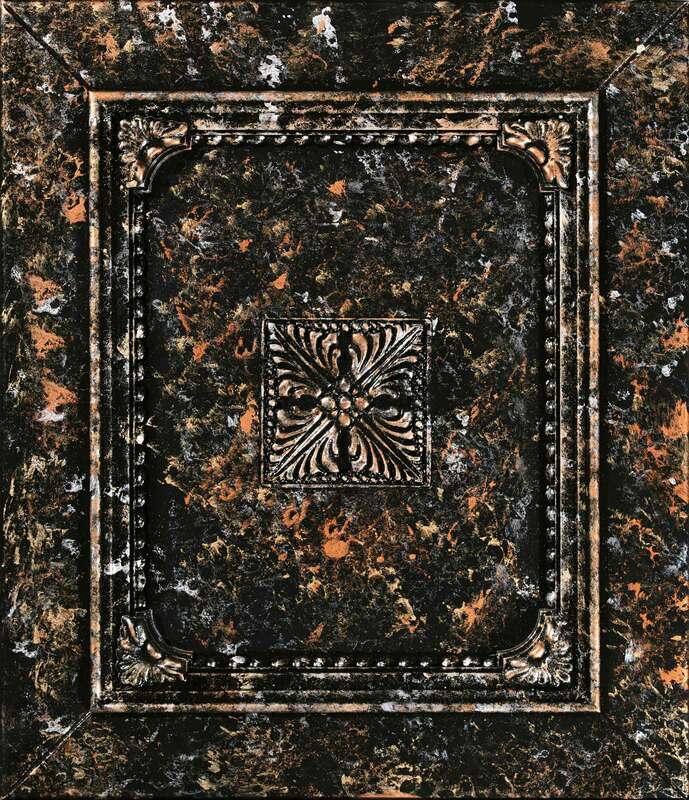 Honey finish with Mecca gold leaf details.